The Steam Summer Sale starts today. 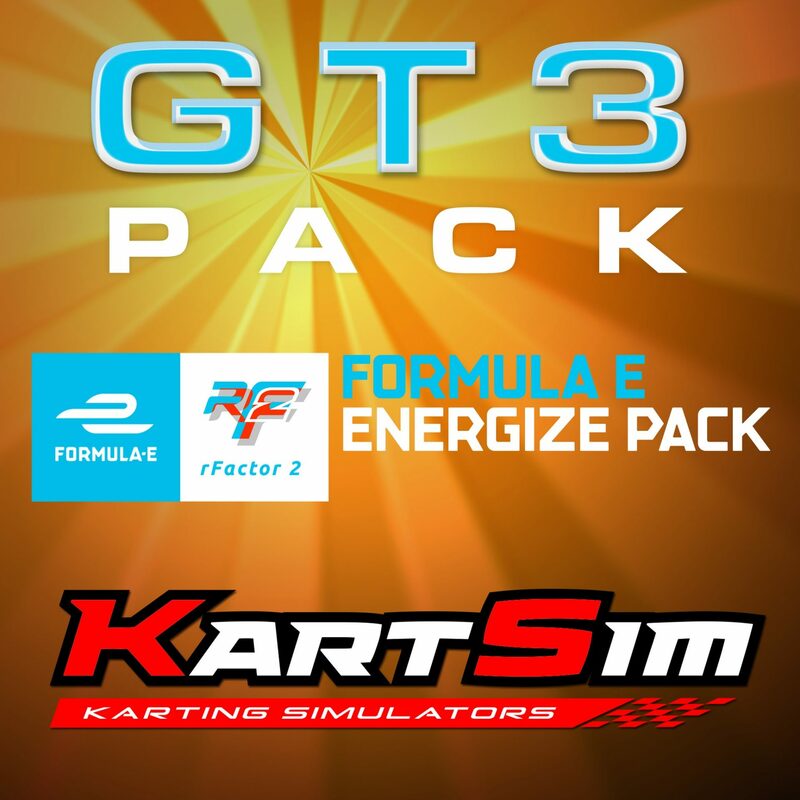 Get 50% off rFactor 2 and up to 50% off the GT3 Pack, Formula E Pack and KartSim as part of our Super Summer Pack. 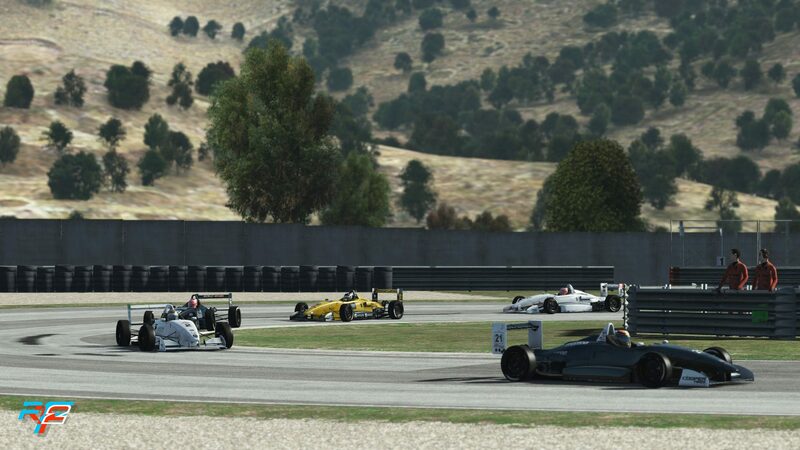 rFactor 2 is the most diverse simulation to date, featuring many of the world’s motorsports built with the upmost authenticity, from Formula cars, to Karts to Stock Cars. 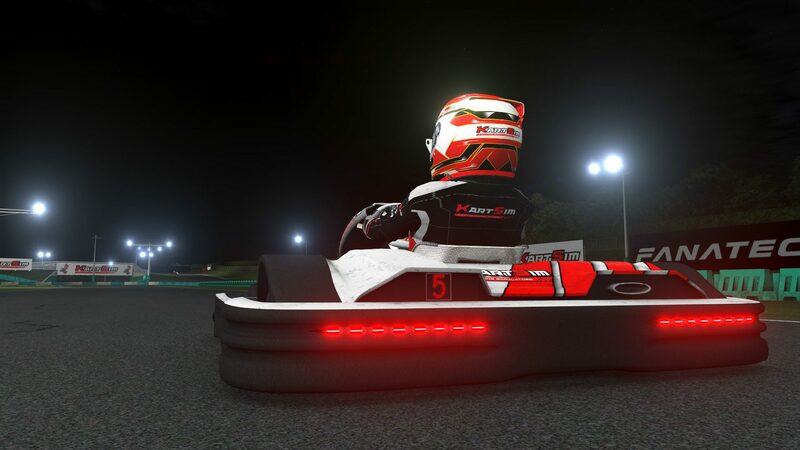 It provides full single player modes, from championships to hotlaps and one of the most robust online and offline multiplayer platforms. 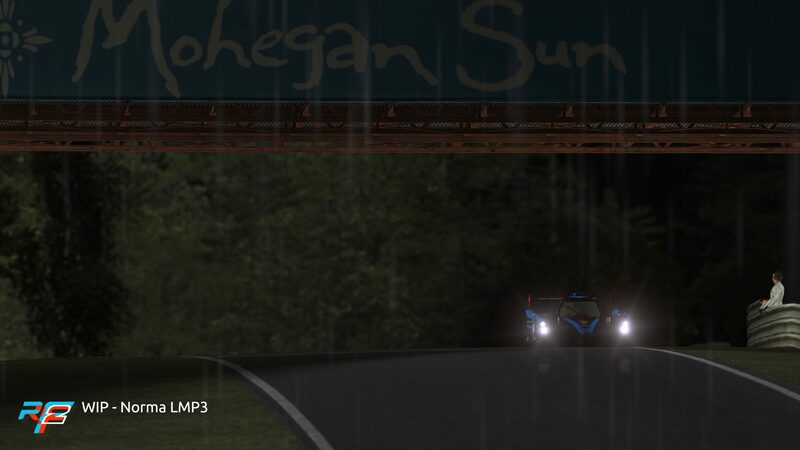 Featuring day to night transitions, full live weather cycles and a dynamic track surface which reacts to the temperature and how much rubber has been laid down by other cars. 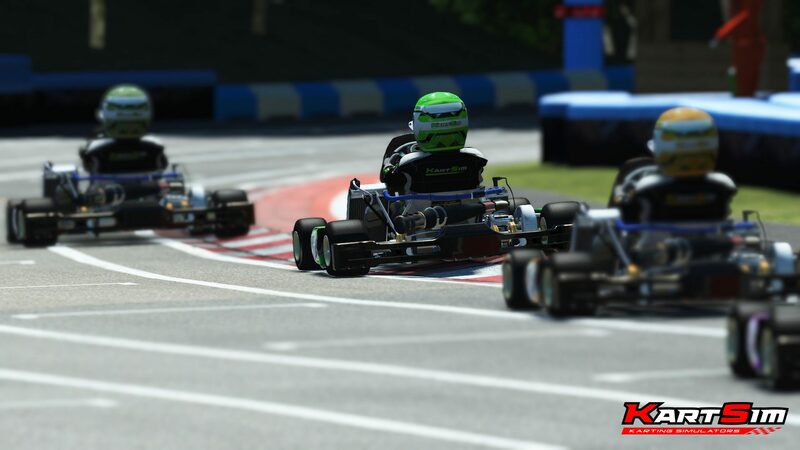 Our AI is renown for being the most realistic in racing and learns tracks by driving and exploring new lines. 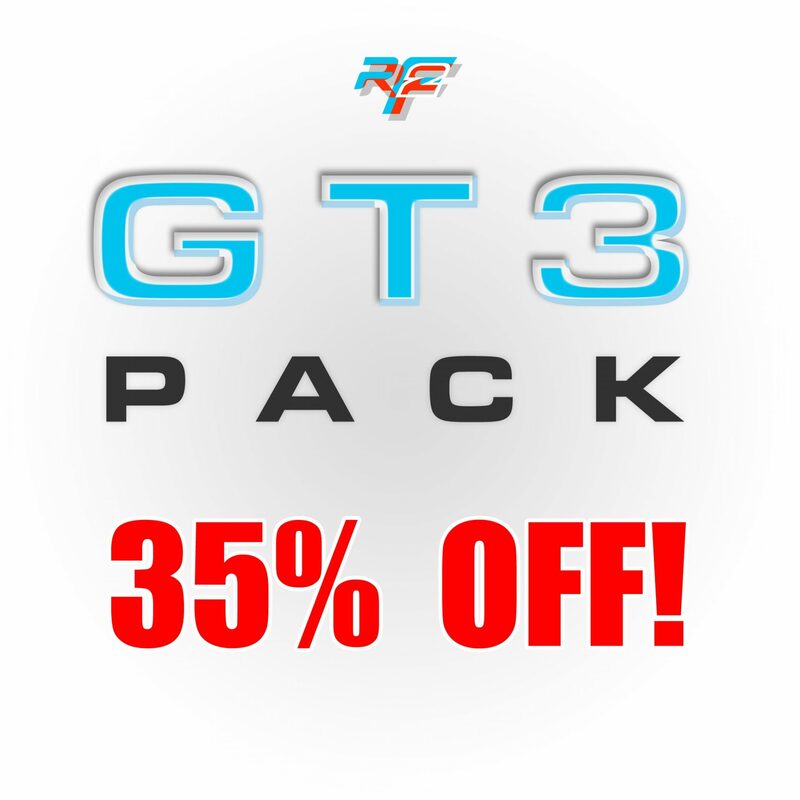 The GT3 Power Pack features five iconic GT3 class cars. 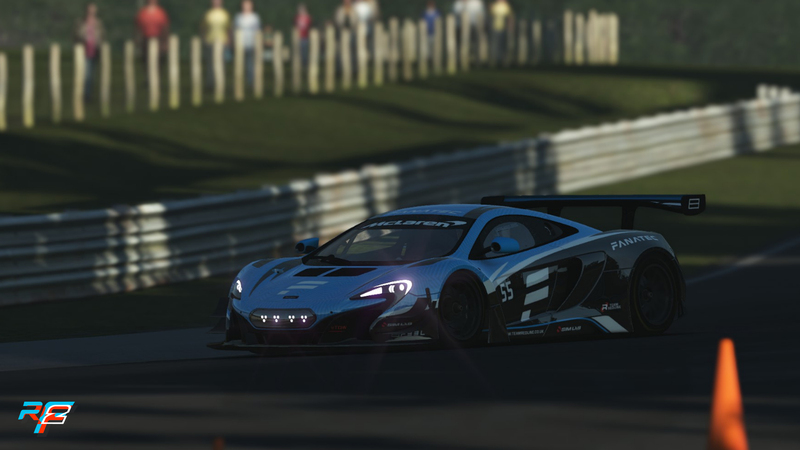 The McLaren 650S GT3, Bentley Continental GT3, Callaway Corvette C7 GT3-R, Radical RXC Turbo GT3 and the Mercedes AMG GT3. 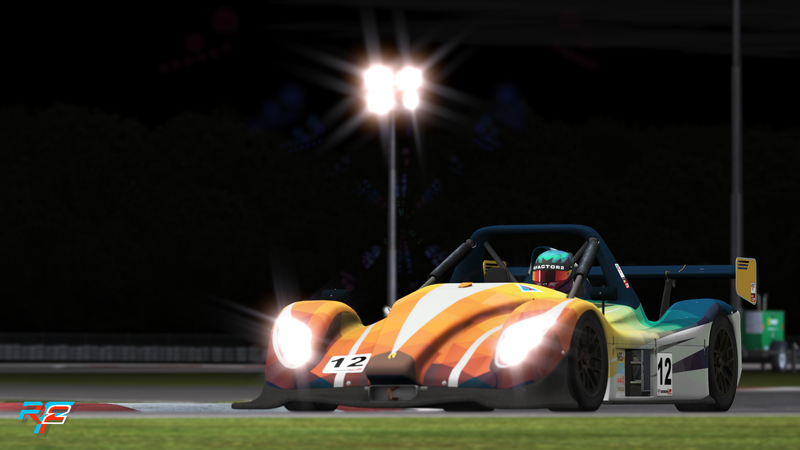 All cars are closely matched and accurate representations of the real cars and form a consistent series of cars to race with. 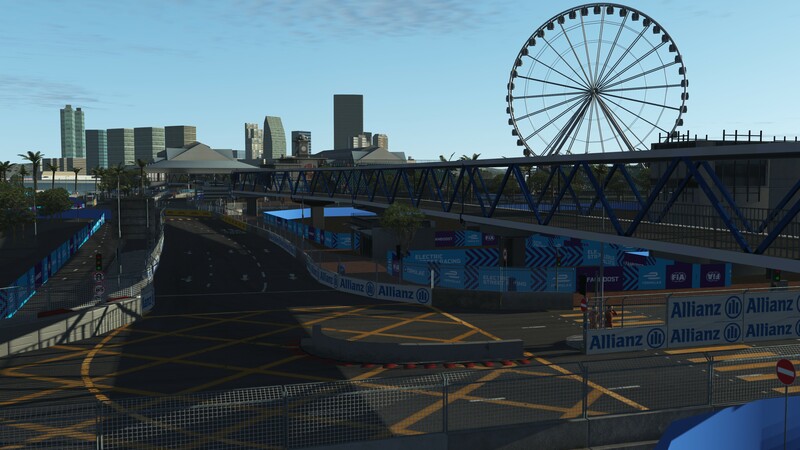 The Formula E pack contains the 2018 Formula E Car and the teams, as well as a stunning rendition of the HKT Hong Kong E-Prix track! Developed in close partnership with Formula E itself. The series itself is thrilling and challenging in ways that will surprise you. You’ll have to rethink your strategy. 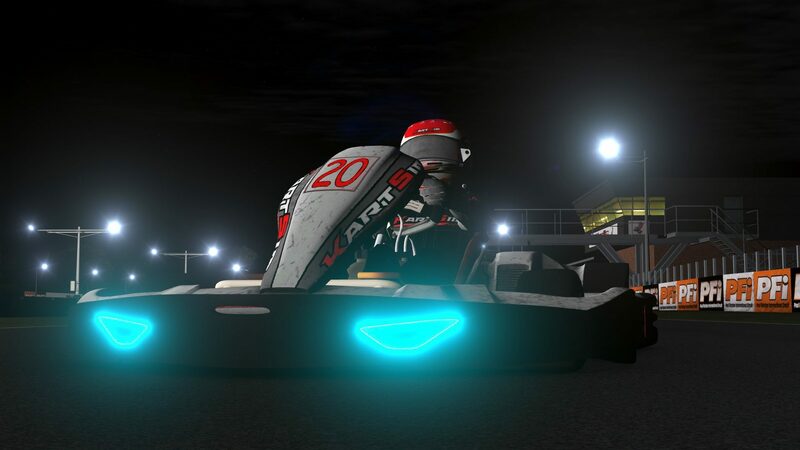 Although the racing still retains its close side-by-side action, tactics and strategy now play an equal role! KartSim is one of our close partners, and specialises in providing high-end leading-edge hardware, rigs and simulation software to the international karting industry. 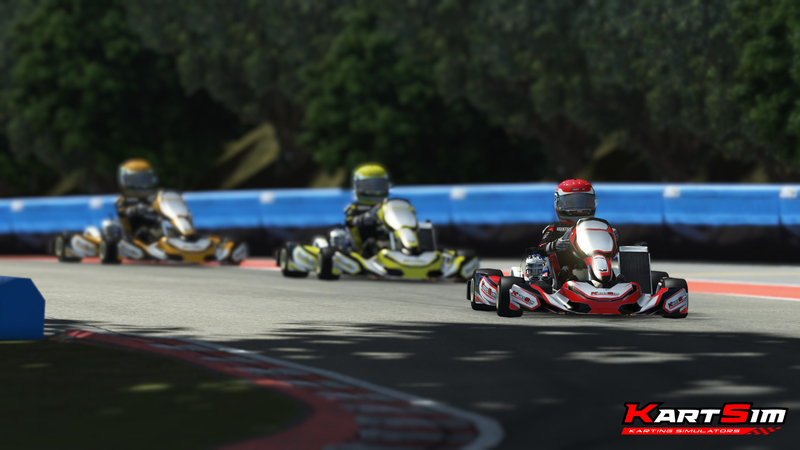 It is only the first in a series of Karts and tracks yet to be released by the KartSim team. There’s more to come in the future. You can click on any of the images below to directly to to the page for that pack. Over the course of this month we have released a few hotfixes for our fresh 1110 build whilst our team has been working on many of the features we’ve been talking about in the last few roadmaps. 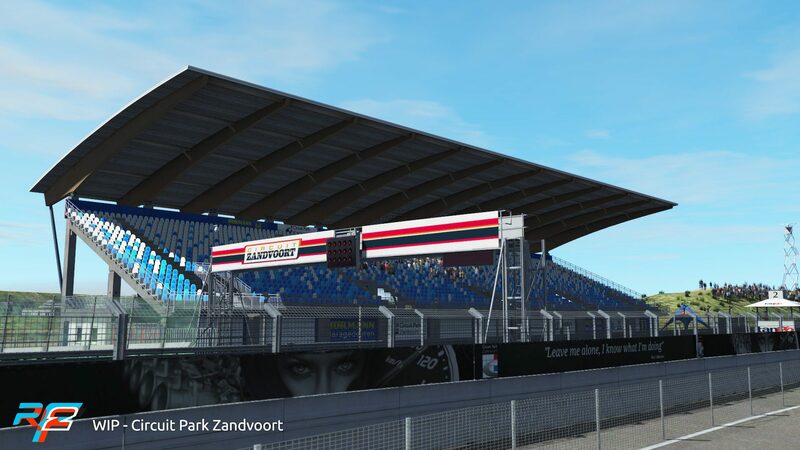 We also went to Zandvoort during the Jumbo Racing Days to showcase some of our content to the huge crowds that came to see several racing series and of course appearances from Max Verstappen, Daniel Ricciardo and David Coulthard. Needless to say, we have plenty to talk about this month, and the first announcement we have is a new hire that starts tomorrow. Now we don’t always announce people that we add to the team and, as a reference, our total team in Studio 397 is about 30 people, currently. With our focus on building the competition infrastructure and releasing that later this year, we welcome René Buttler to the team. 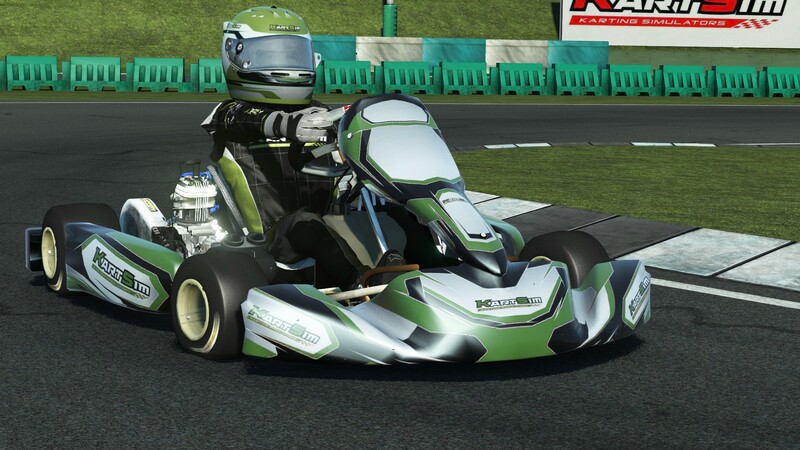 He has been working at ESL on projects and esports tournaments with a strong focus on racing simulations, and we are very happy to have him at Studio 397! 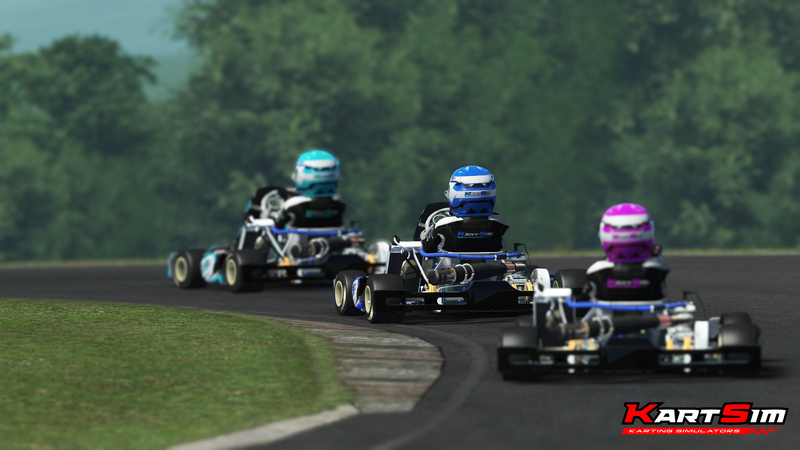 Last month we already announced that our next pack would consist of 5 cars. 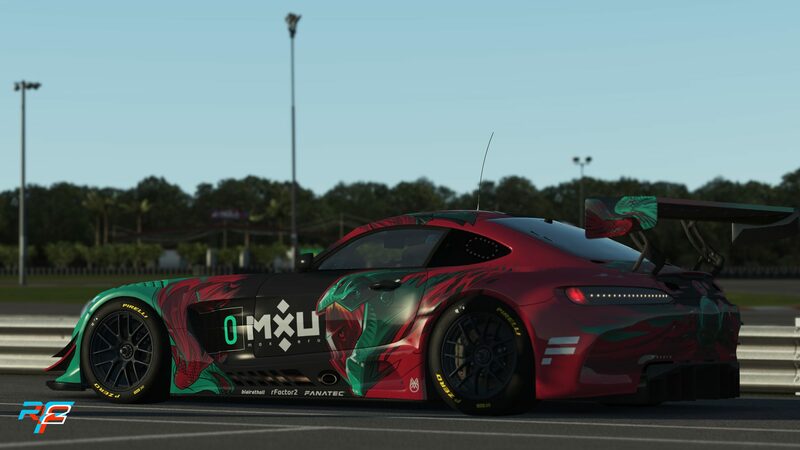 This will be our “Endurance Pack,” and we are ready to announce one of the two previously unannounced GTE cars that will be part of it. 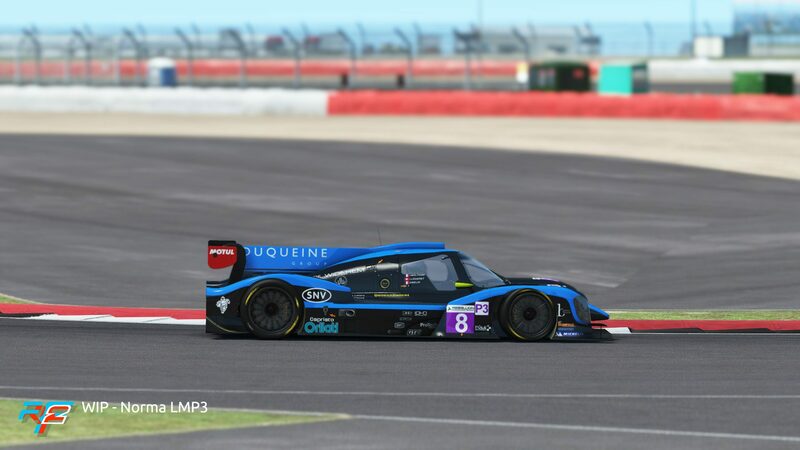 All cars are in the final stages of approval by the manufacturers, which is a process we don’t have full control over, but it does indicate we’re getting close to a release now. 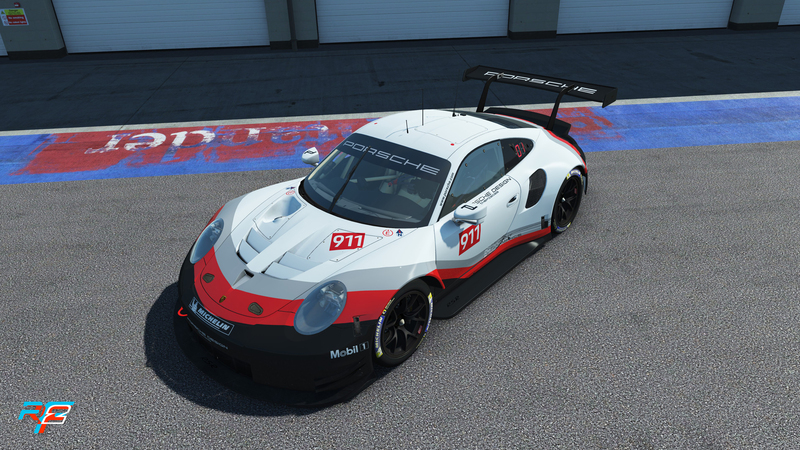 That said, it is time to announce the Porsche 911 RSR GTE! 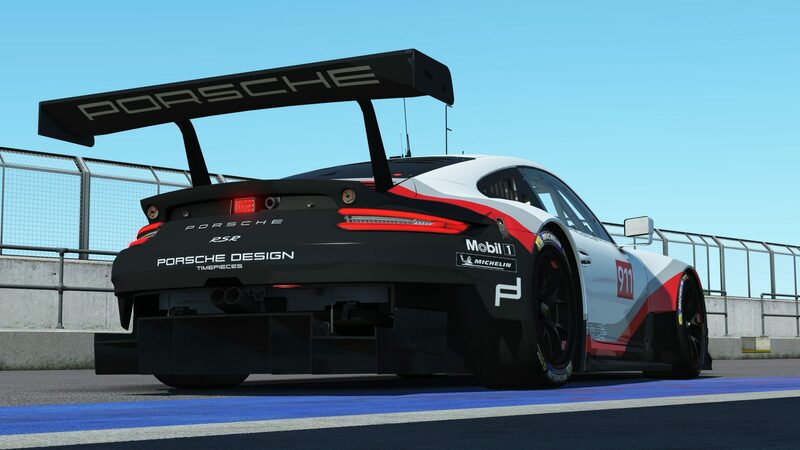 Ever since the start of Studio 397 we have had a great relationship with Porsche, so we’re very happy to finally be able to share the news. We’ve licensed the very latest spec of this car to race alongside the other GTE’s, and we are confident this car will be a joy to drive. And it certainly looks great! 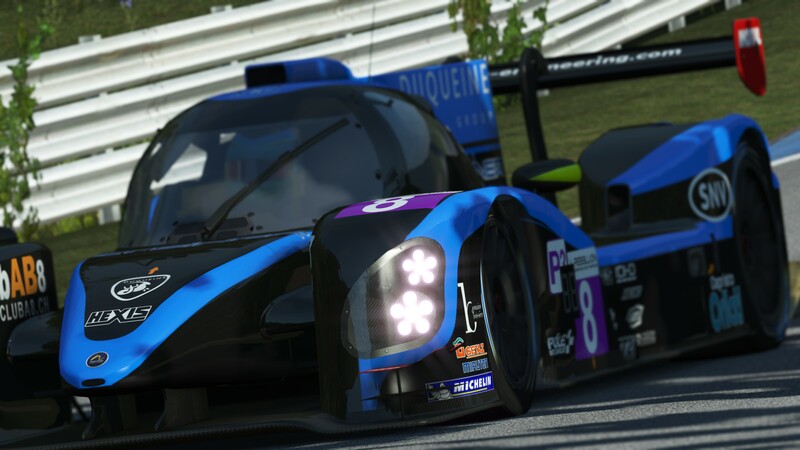 Earlier this week, we also visited the offices and test track of Duqueine Engineering again and validated both the Oreca 07 and Norma M30 models in their simulator with their drivers and engineers. 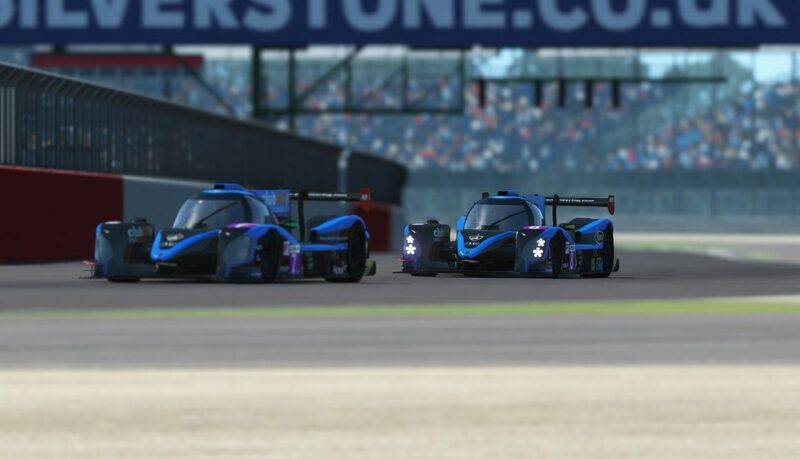 We are also including liveries of various teams racing these cars to ensure we end up with a great looking field of cars, as you can see from the shots below. That’s of course not all the content we’re working on. There are a several more things under construction. 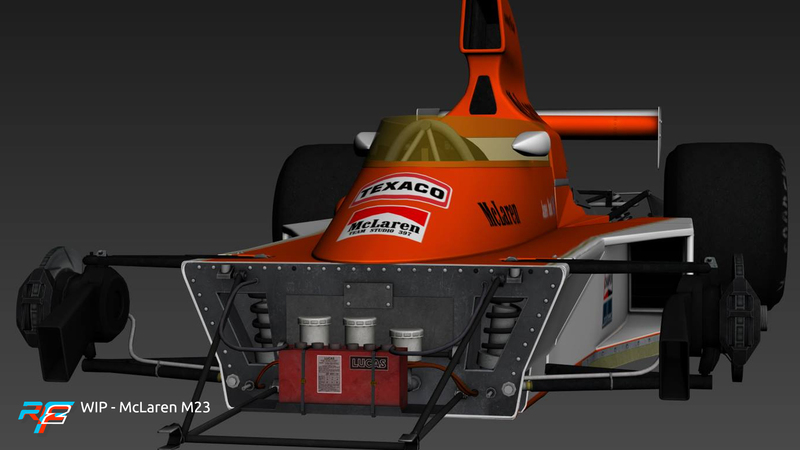 The March and Brabham cars are close to completion now. 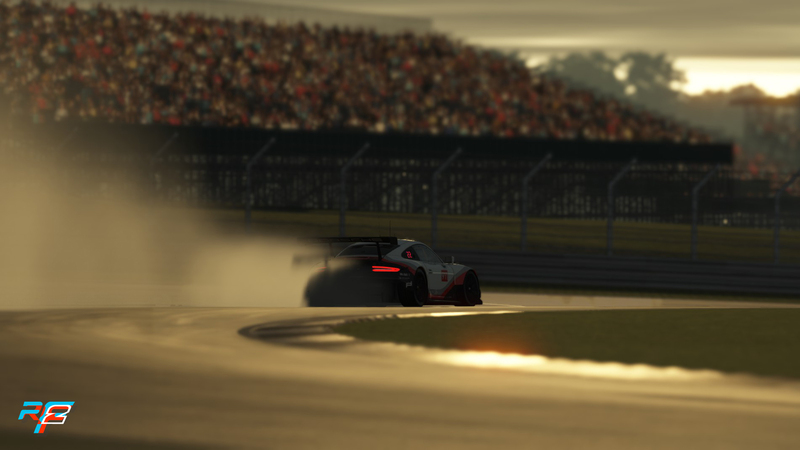 We’re adding the final rain and damage effects and doing the driver animations. Physics wise we’re very happy. Each car has it’s own distinctive character, yet they are very competitive. 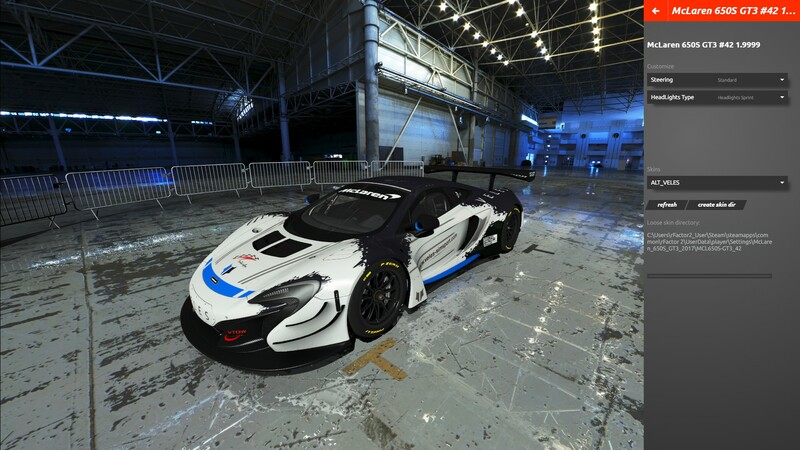 The McLaren is still in the middle of production, so it’s expected to come a bit later. 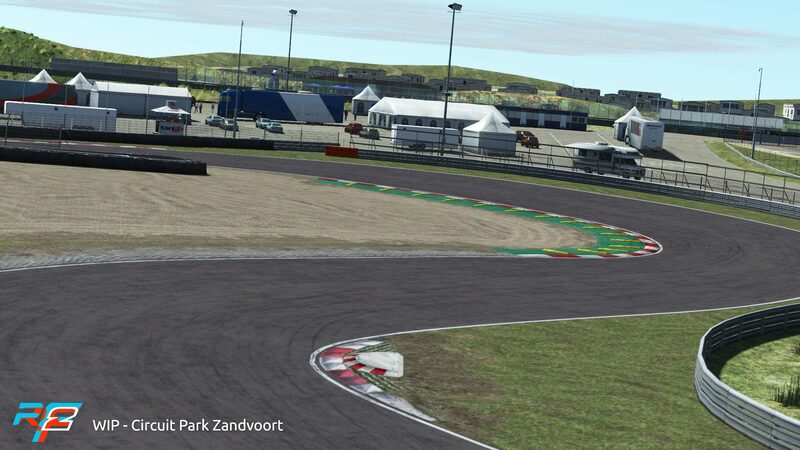 Those of you who visited us at Zandvoort have seen the progress we made on that track. It’s still not quite finished, but it’s looking better, and we addressed the performance issues that people reported, so we’re in good shape. For Botniaring, all 3D work is done, and we’re currently working on texturing and optimization. That work and the AI lines will be finished this month. 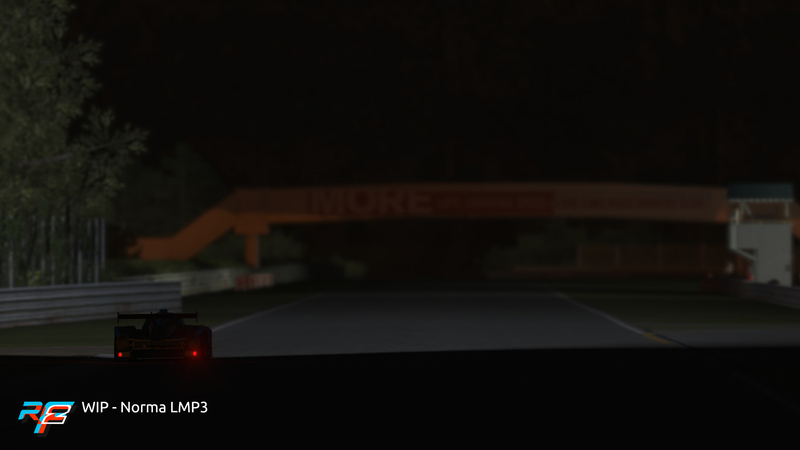 Then we are going to be giving the track its final shakedown before releasing it. For Sebring we are currently in the middle of adding all the track side objects. As you might know, building a track can be roughly split in two phases. In the first phase we’re building the roads and everything “up to the barriers,” and in the second phase we do everything beyond the barriers and things like AI lines, night lighting and various other details. We’d like to share our current progress with you, bearing in mind that not everything you see here has been properly optimized yet, so “things might change”. UI testing and tweaking is still ongoing, and we’re starting to integrate the work on the competition infrastructure into the new UI whilst also making the back-end more robust. 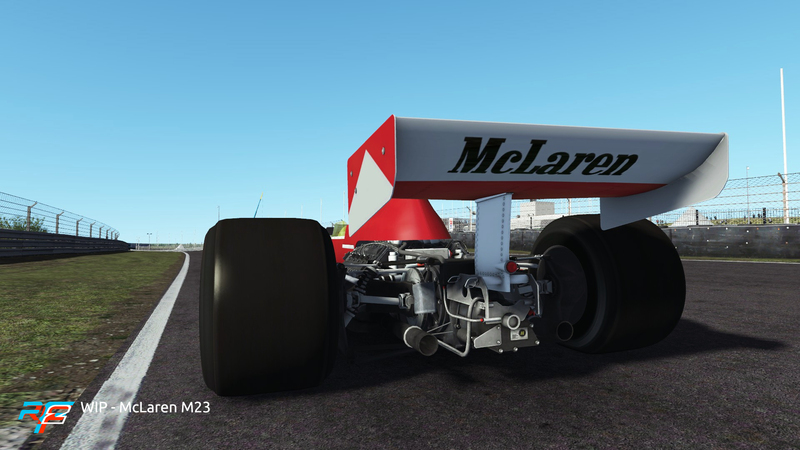 Another thing we have started working on is the integration of Motec data logging into the core of the simulation. 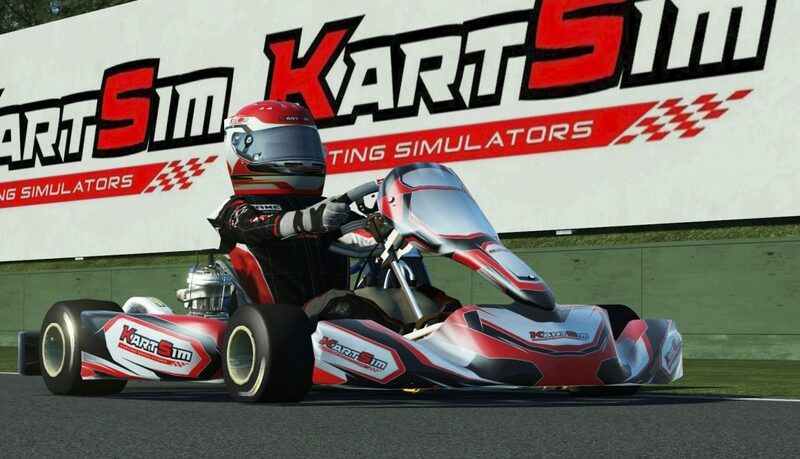 First of all, congratulations to Oli Ellis-Richardson for winning the KartSim hotlap competition! 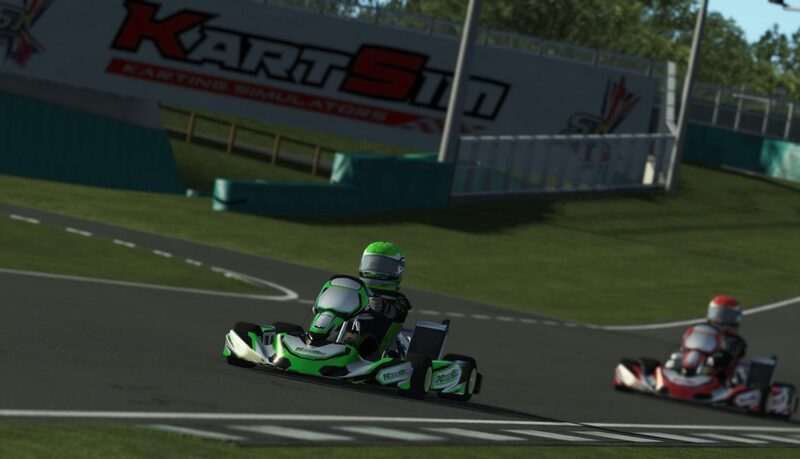 Oli has secured an entry to the SuperOne British eSport Championship and a copy of the KartSim Pro package. 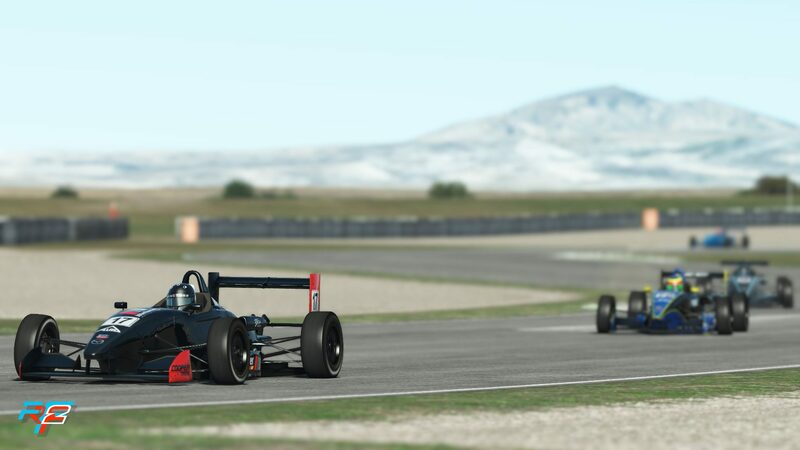 In the USF2000 challenge the winner of last years World Fastest Gamer showed that he was still one of the fastest simracers out there: with a 47.443, Rudy van Buren took pole position. 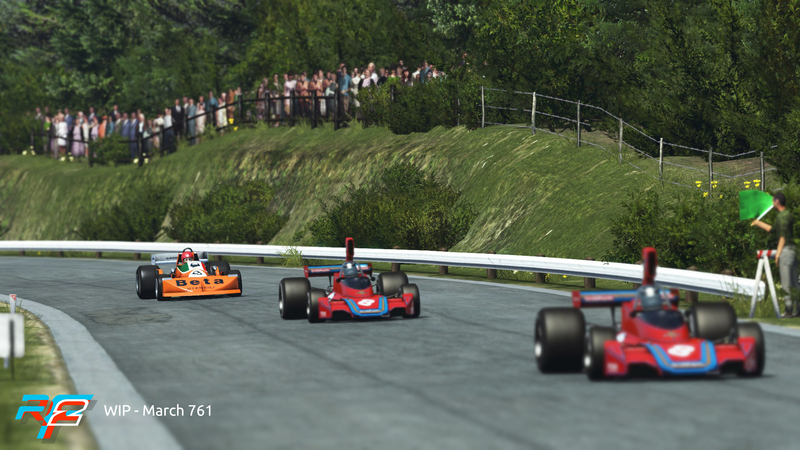 All of them have won a free pick of any rFactor 2 DLC pack, on top of that Rudy also won €100. And work goes on!… We continue to relentlessly hammer away at the new features and content mentioned in the previous roadmaps. And yes, you’ll be happy to know that this month is no exception: we will still manage to bring you some ‘new’ things to look forward to. We know how much you all enjoy these road maps, with anticipation of the things to come, and we are just as anxious to share them with you. Keeping you informed of our broad development goals is part of our whole outlook. For us communication is key to making sure we stay on the mark and never get out ahead of our userbase. So as things begin to take shape and features mature, we do our best to show you the progression and previews as soon as we possibly can. Although these are not ‘deadlines’, they should give a you good idea of the things you need to get excited about. 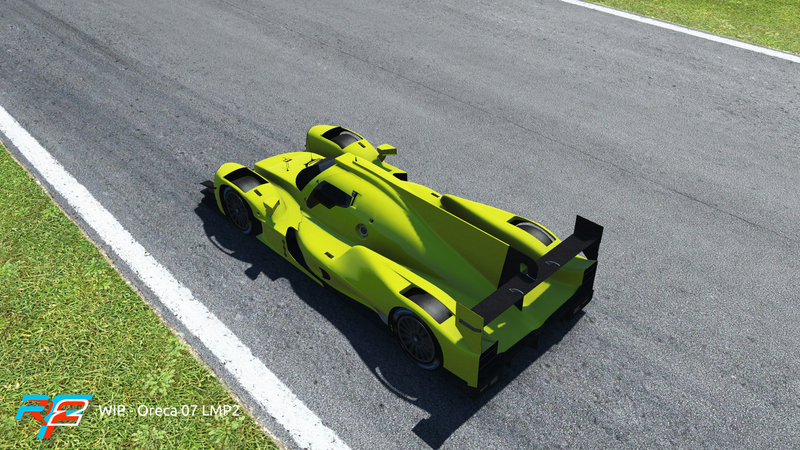 The graphics optimizations we mentioned in previous roadmaps are still very much ongoing and current. We are investing a considerable amount of resources to get this done. 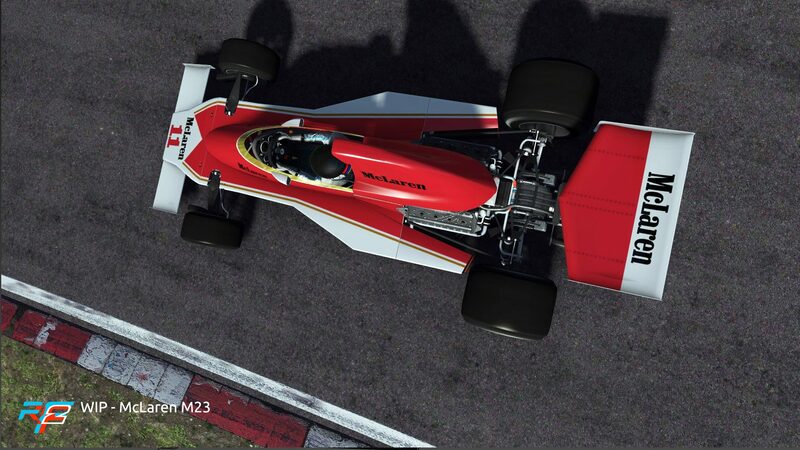 Graphical improvements and optimizations are key to future proofing the rFactor 2 graphics engine. With that in mind, we are taking our time to methodically test each optimization pass to make sure everything stays put and is in working order, and that is why it’s taking a little longer than originally planned. Thanks to our very focused group of dedicated testers who are looking at each area, we are moving forward at a steady pace. We hope to get it out to you ASAP! And speaking of specifics, VR is one area where we know we need to improve performance, and these optimizations are showing very promising increases in stability and overall framerate. 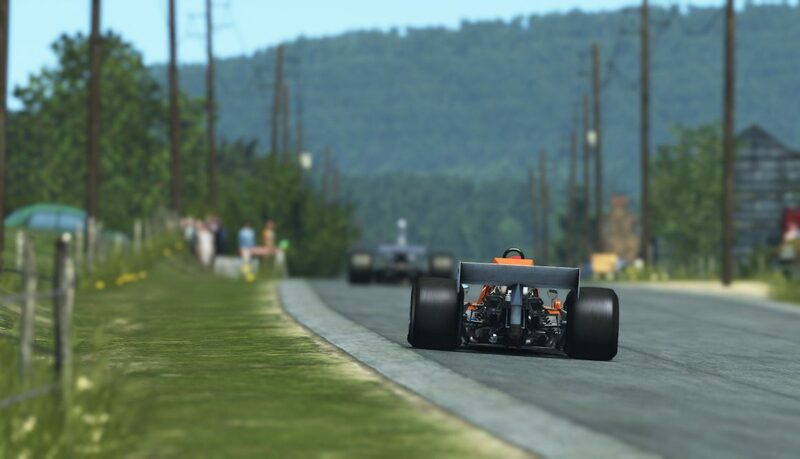 We have a solid commitment to historic racing and we hope you find rFactor 2 a good place to experience some of the great cars of the past. With that we are pleased to announce that we will be releasing the March 761 soon for free. 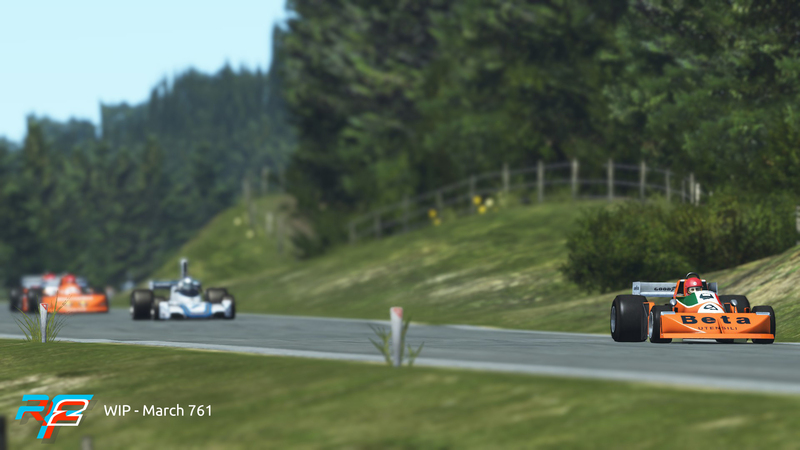 Not just that, we have also updated the Brabham BT44 for some excellent head-to-head racing. Finnish fans! We have a new track on the horizon. 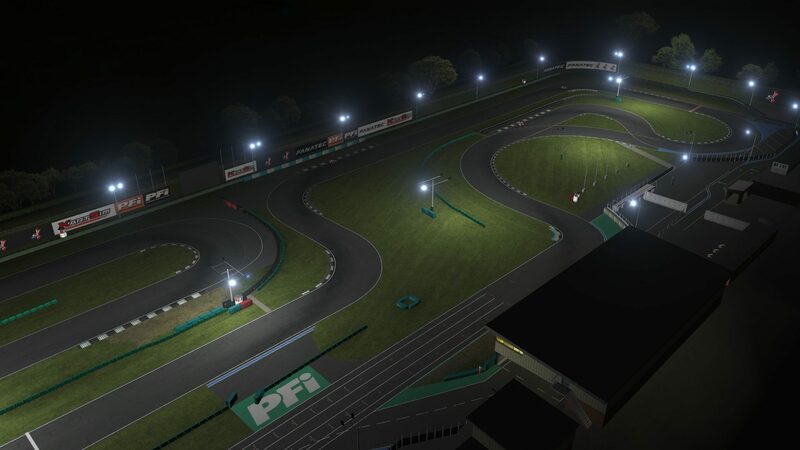 Introducing the Botniaring, located in Southern Ostrobothnia, Jurva, Finland aka Perkeleville (big grin) The track is perfect for our upcoming Tatuus cars as well as many others. 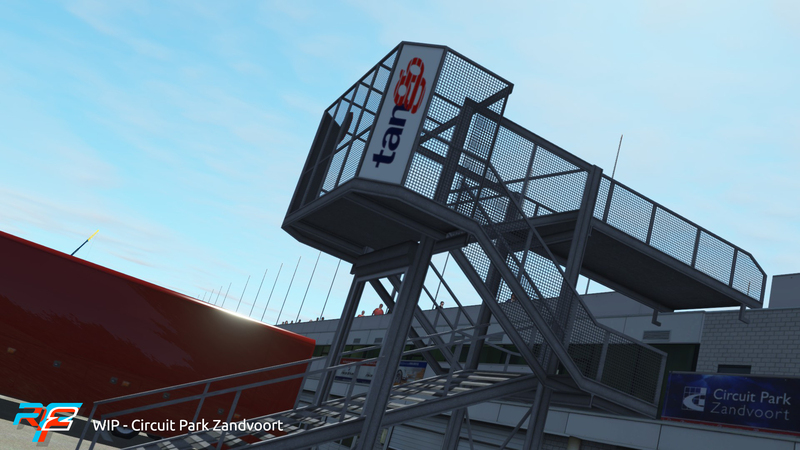 We have a number of updates to the Zandvoort track that is currently in beta. 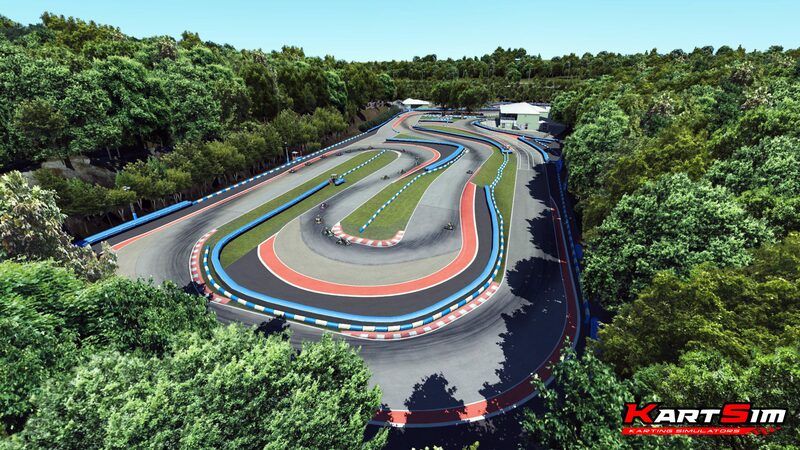 While we were building the track, it was being repaved and our 0.20 version showed a version of the track as it was then: about three quarters done, with some old asphalt in the final sector. Since then, repaving has been finished and the Audi S curve was remodeled for the DTM races. 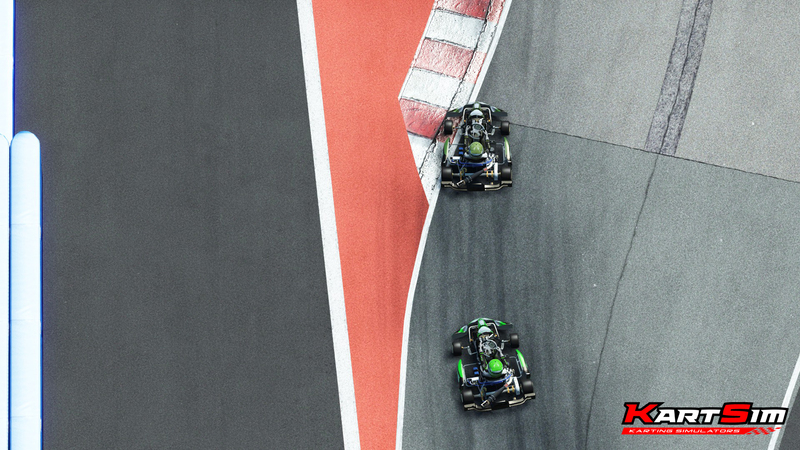 On top of that we added a lot of detail, for example in the pit area, and at the same time optimized the track. 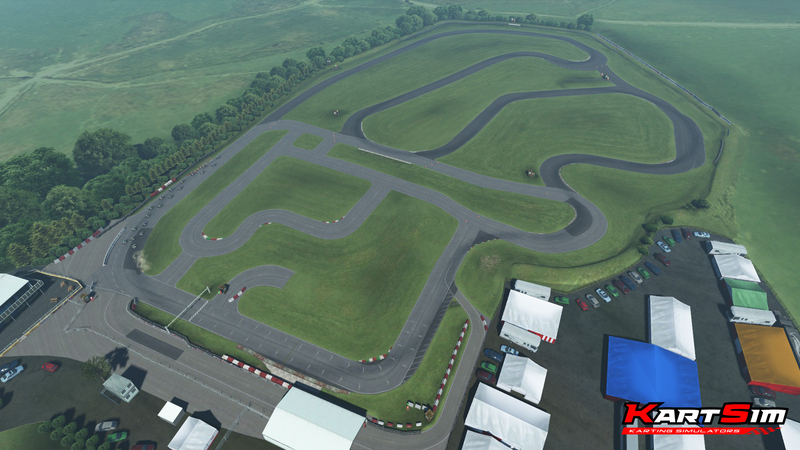 We’re almost ready to put the track through final testing, so we hope to bring you this new version soon! 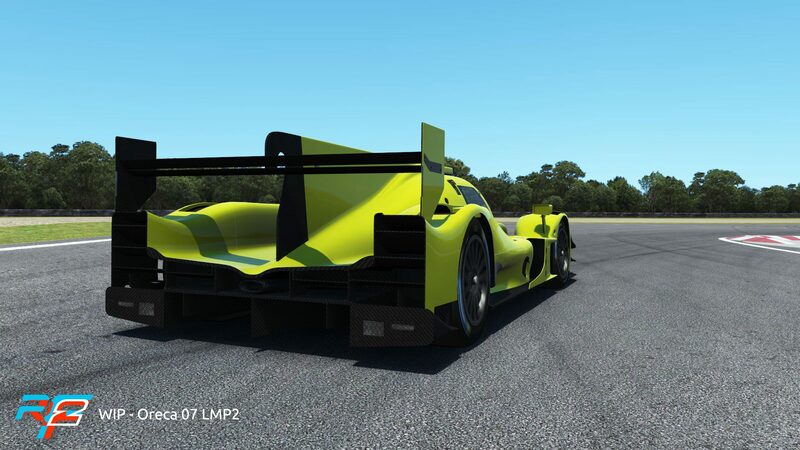 After all these free updates above, we are also proud to announce another car that will be part of a new upcoming pack – say hi to the super successful Oreca 07 LMP2! 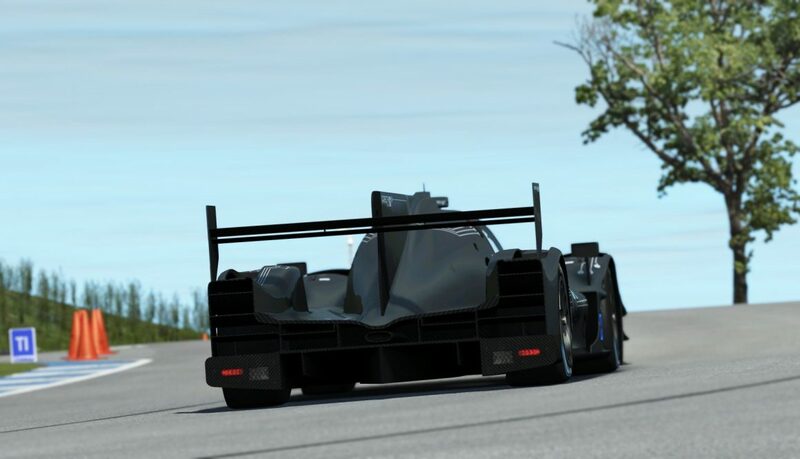 Used across all major endurance series the Oreca LMP2 almost won outright at Le Mans last year with Jackie Chan Racing DC. Most of our focus on the UI in the last months has been to include all of the current base features and test them to make sure they function properly. On the surface this might seem like an easy task, but it involves a lot of repeated clicking and trying: the UI is a complex matrix of interdependences that we need to carefully unravel to better understand and improve. So before really jumping in to conquer the new features, we needed a solid base. As this first phase begins to wrap up and we have a stable functioning UI, our focus is shifting to those specific things that really need to be more user friendly, existing features that were either hidden or not readily visible enough to find and use. 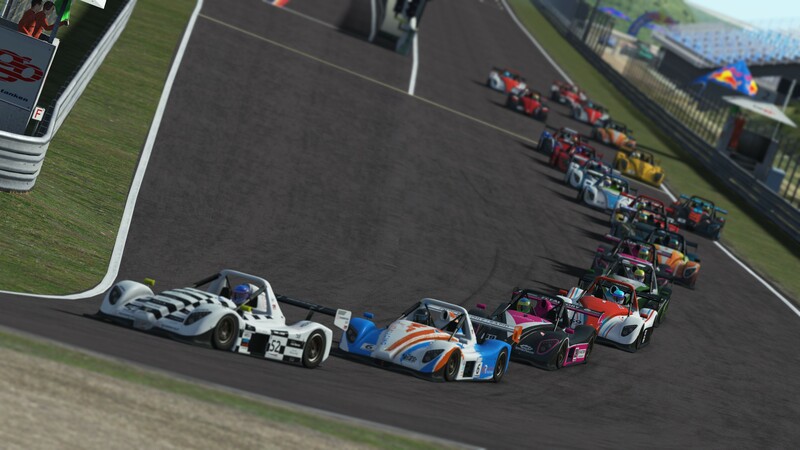 Two current examples of this are custom teams/skins and driver swaps. Using custom skins in the current UI, although functional, has always been a bit obtuse and not straight forward for the average user. We saw a couple of ways to improve this going forward. 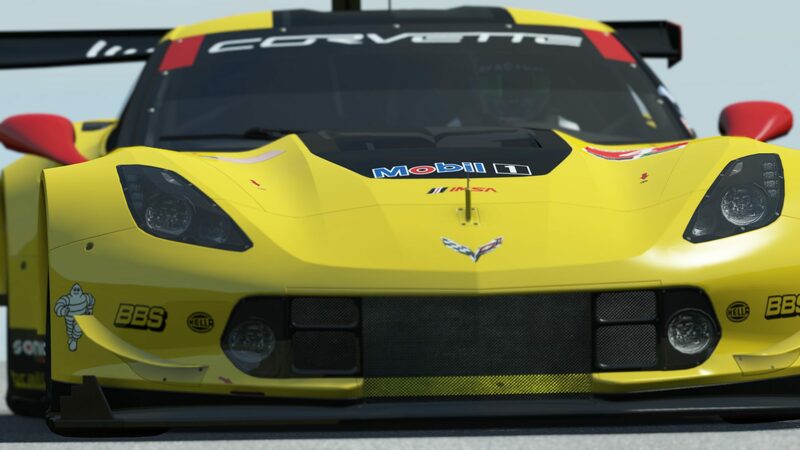 One is to offer a simpler way to get your skin in game, and avoid the need to alt-tab or even exit rFactor 2, just to see your skin on the car. We’re still playing with a few ways to make this less fiddly. Next, custom ‘team’ creation needs to be more direct and easier to achieve. This involves thinking like a new user and making smart dialogs and using correct terminology, that way there’s no doubts about how naming or hierarchy. 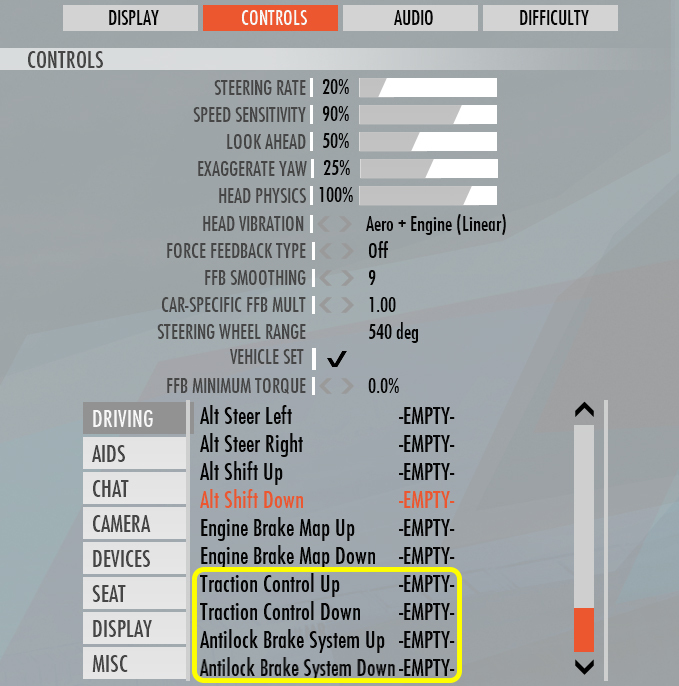 Driver swaps are another area that works in the current UI, but is complicated to use in practice: having to close rF2 and navigate through somewhat hidden menus is not ideal and prone to user error, and having to assign keys to perform simple actions is a bit overkill. So the new way to do a driver swap is simple. 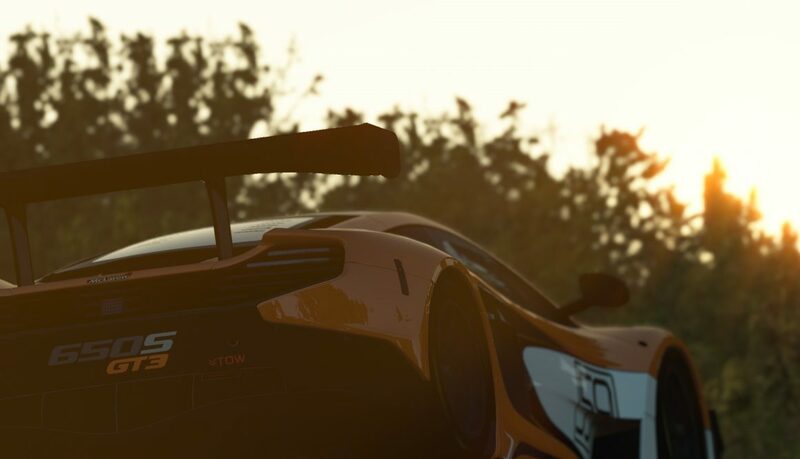 When you join a server, we will ask you if you want to drive a car or join as as a spectator. 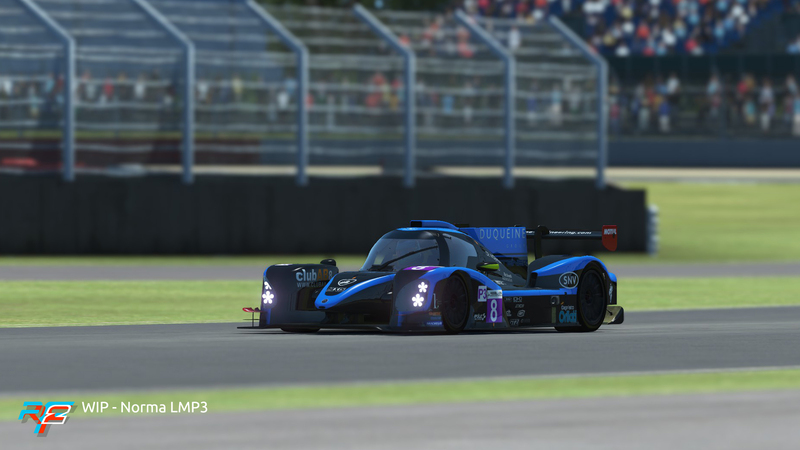 When you choose the latter and click drive, you’ll get a pop up list of names to choose from, click select and you’re ready to drive once your team mate pits – simple as that! 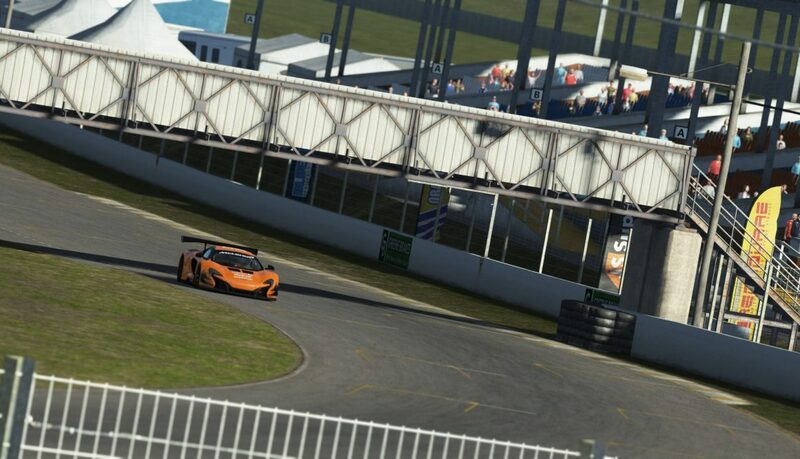 The competition structure continues to take shape, and just like the UI we are focusing on the ground work. This means dealing with and squishing any bugs related to the day to day functioning of the competition structure itself. Competitions, as you may know, can span many weeks with multiple events and sessions. It’s therefore important that each code change is throughly tested for reliability and stability. By basing this on the cloud technology of our parent company Luminis we ensure the system will be very scalable, and it is certainly our intention to end up with an open system that can also be used by the many existing leagues out there. We hope to show you more real soon! When we did the paint competition a few months ago, we were overwhelmed by the large amount of high quality entries. Encouraged by this, we concluded we wanted to do more of these competitions to showcase the many talented painters in our community. 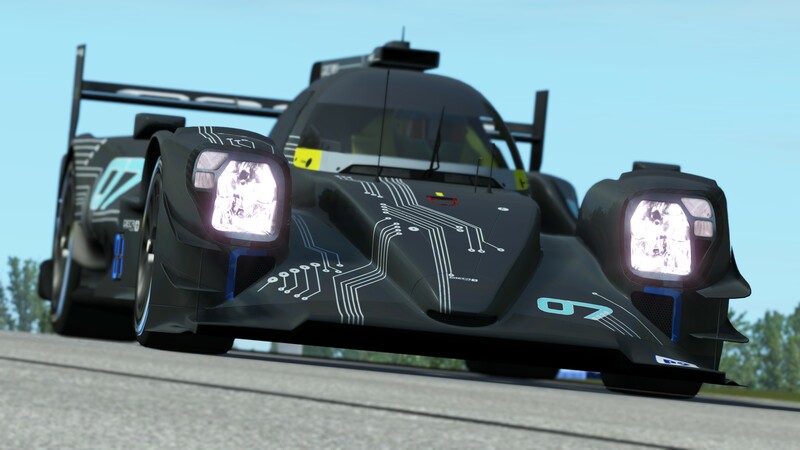 That said, assembling all these skins into packs proved to be a lot of work, so after discussing various options we decided to build some automation to more easily generate new cars, their skins, and all data and preview images associated with them. 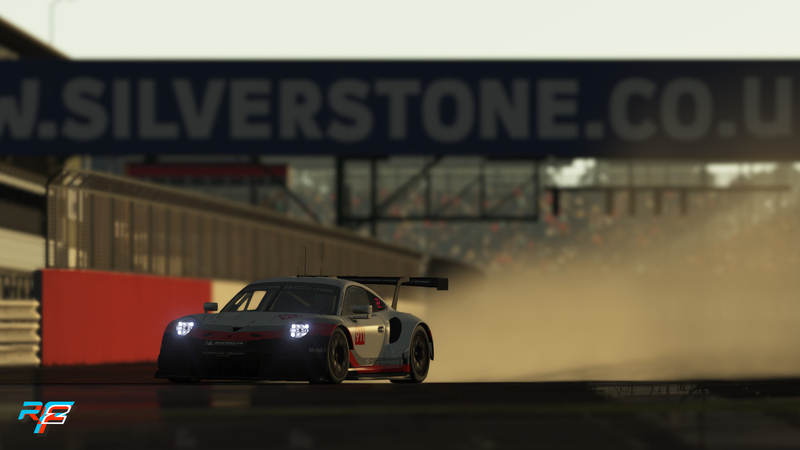 That is the reason the GT3 skins took us longer, but we’re confident we can release them next week. 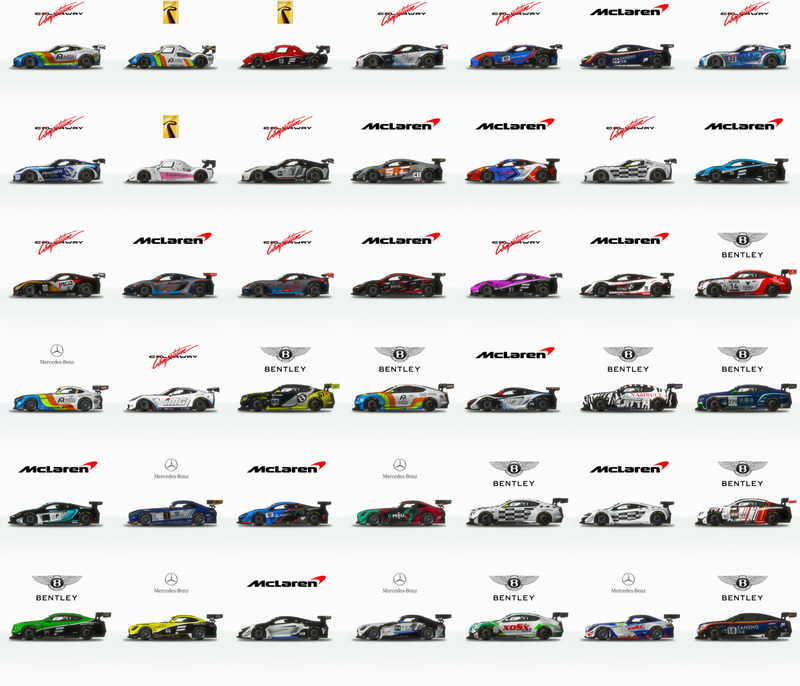 To give you a preview of all the nice skins you will see, we included a “spotter guide” like overview for you to enjoy! Welcome to the January 2018 roadmap. We’re really excited about what this year will bring. Our internal roadmap has been setup and it features lots of cool content, updates and technical improvements. So let’s get started! 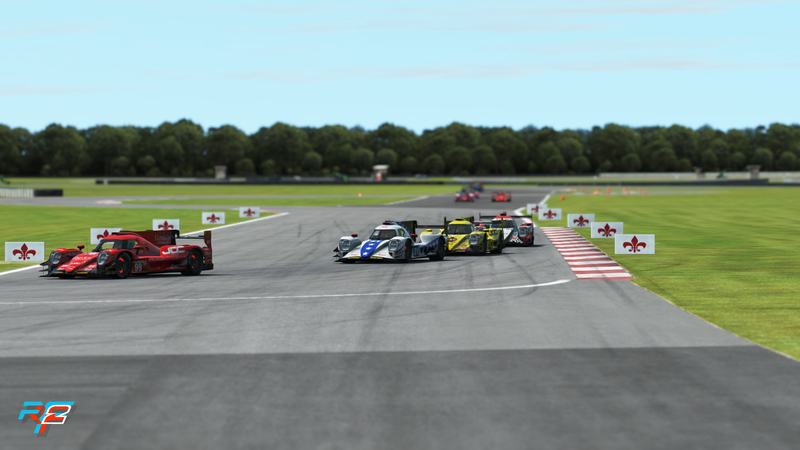 First of all, we have a brand new trailer for rFactor 2. We hope you like it! We’ve had a lot of feedback from some of our users about the graphics performance of the simulation. 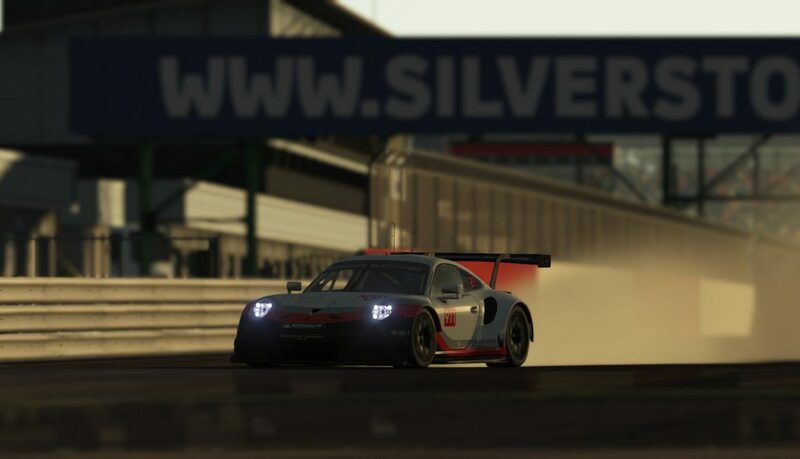 Over the last months we have improved the fidelity of the DX11 graphics a lot, but partially due to the fact that we still had to support the DX9 engine for every update, we did not yet take full advantage of some of the things DX11 could do. When investigating some of the reports we got, we decided it was time to start making some fundamental improvements to the engine. We are still working on that, but internal builds are looking promising, so we hope to have more news about that soon. 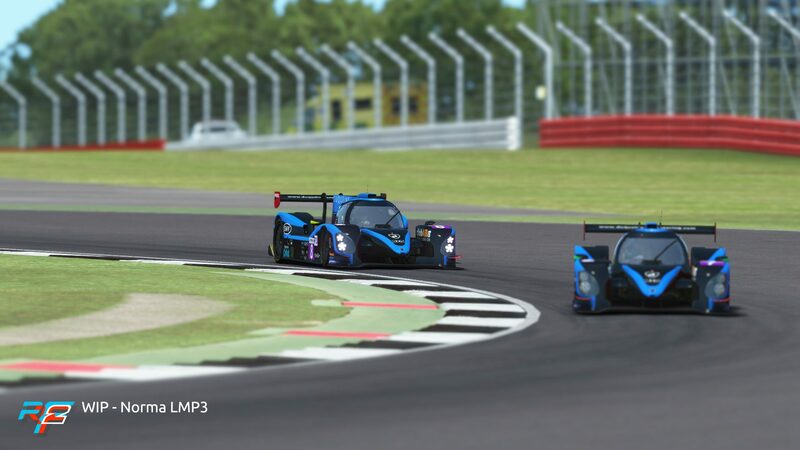 With the release of our GT3 Power Pack and our Formula E Energize Pack last year we are looking forward to bringing you great car and track content this year. 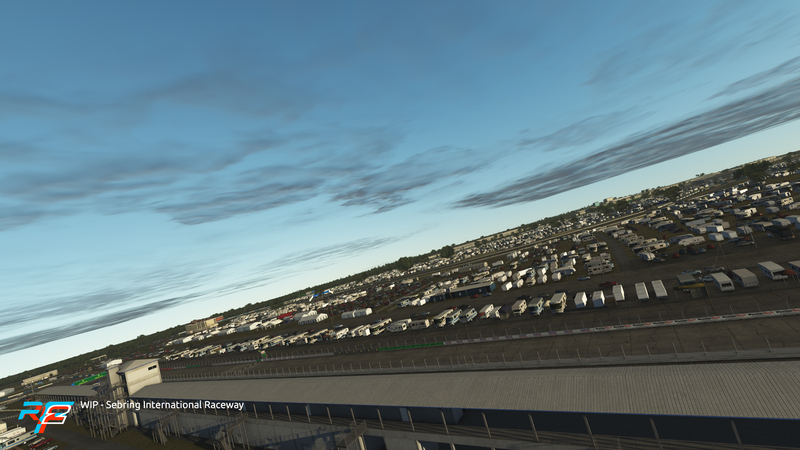 With that we are pleased to announce that we have signed a license with Portland International Raceway which will be released for free later this year and ahead of the labor day race. The track has an incredible history having been developed out of the remnants of the City of Vanport. At 1.97 miles, the track has hosted several senior racing events most notably Champ Car and Indycar with the lap record by the late Justin Wilson of 57.597. 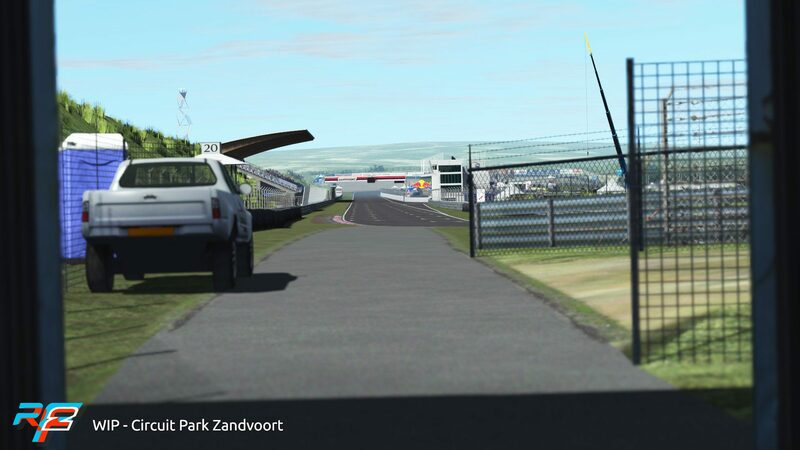 We are also working at completing the promised update to the Zandvoort track, adding the latest resurfacing changes as well as a change to one of the turns that was done before the last DTM race. Our expectation is to have that done somewhere towards the end of the first quarter and we will keep you informed about its progress. 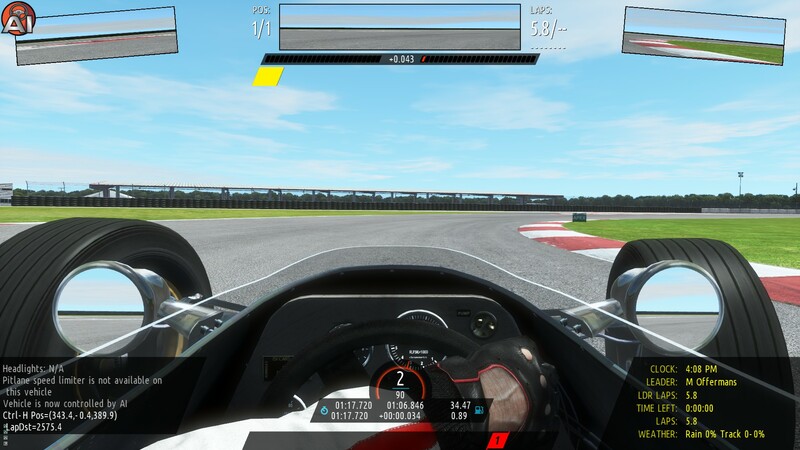 Our updated HUD is currently in final testing and will be added in the next code update we are going to release. Last month we already talked a bit about some of the new data we’ve made available, and this is probably a good time to talk a bit about the new HUD design. As we already said it is still based on our existing technology, but we’ve redesigned it from scratch to look more modern. This means we designed it for the screen resolution that is currently used, and updated the font to conform to our new styling. We have tried to go for a HUD that features all the data, but with the least possible duplication. The most important things remain on screen all the time, some lesser needed data is available in the different pages of the multi-function display (MFD). On top of that we have tried to ensure that the data we display is accurate enough for people to use when driving. Some hightlights include the new “deltabest” bar and digital display at the top, as well as the fuel left and fuel used on the last lap indications at the bottom of the screen. The screenshot is still a work in progress, so some details might still change, but this will give you an impression on what we’re testing now. 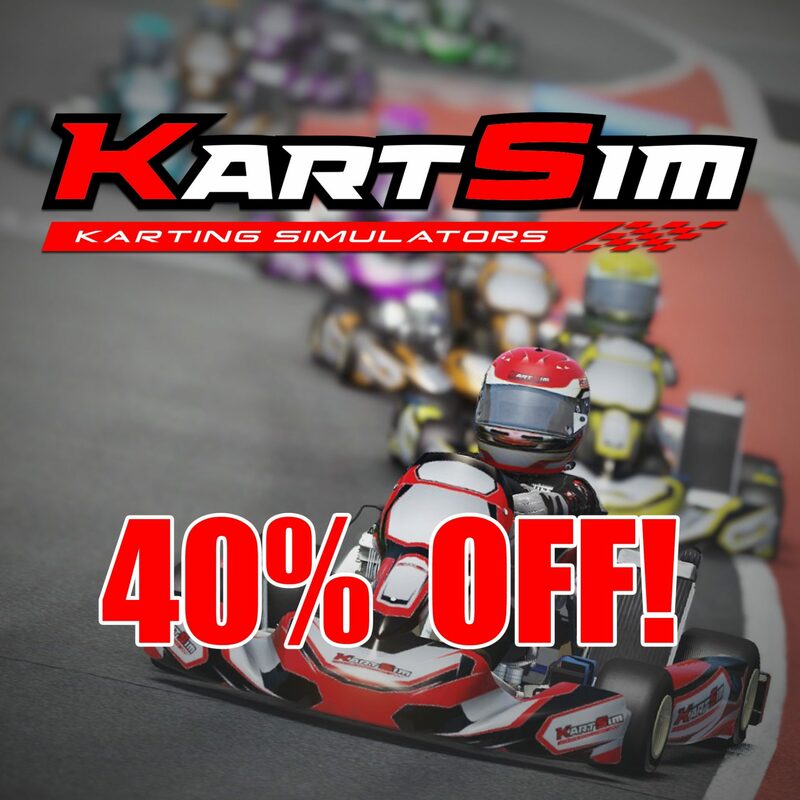 In a couple of weeks from now, KartSim will release a consumer version of their content on Steam. 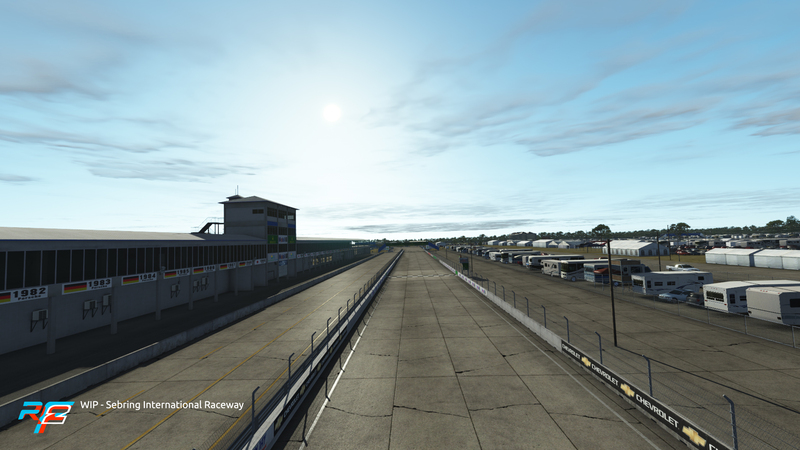 All of it will run inside rFactor 2 and can be mixed and matched with our other content. The majority of that content will be paid, however they are also looking at doing a free indoor track. 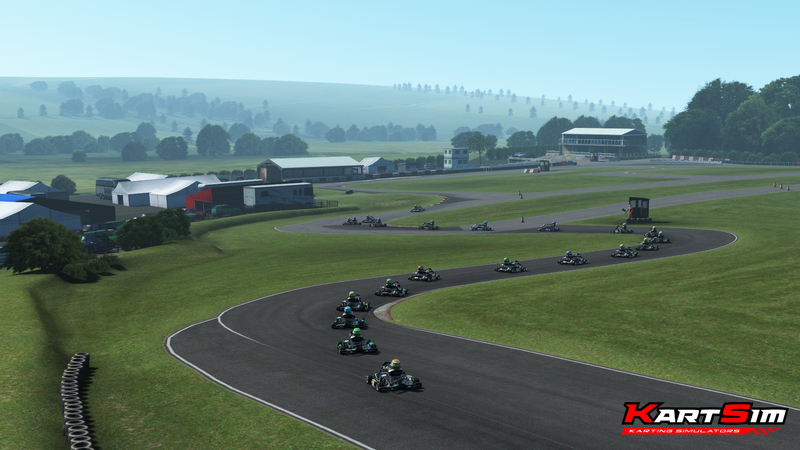 KartSim will include the x30 kart models and three laser (Lidar) scanned kart tracks: Paul Fletcher International Circuit, Buckmore Park International Circuit and Glan Y Gors Championship Circuit. This pack will be around 20 euros. 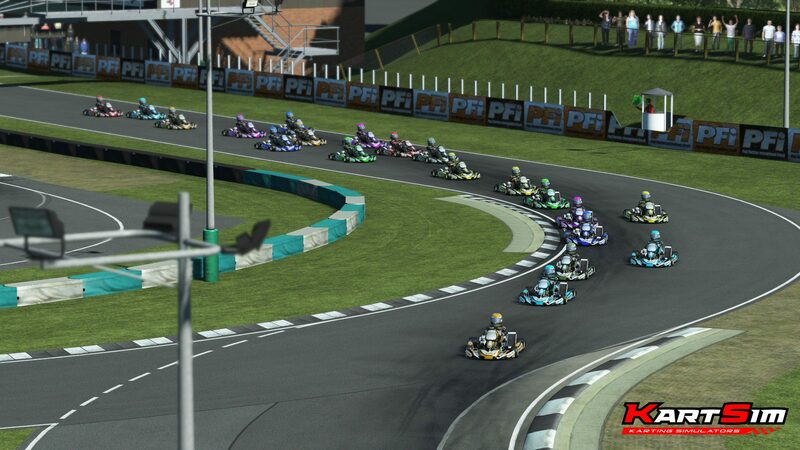 There will also be a version geared to the professional karting market (KartSim Pro) which includes more tracks and karts and includes and entry into the British eSports Karting Championship. 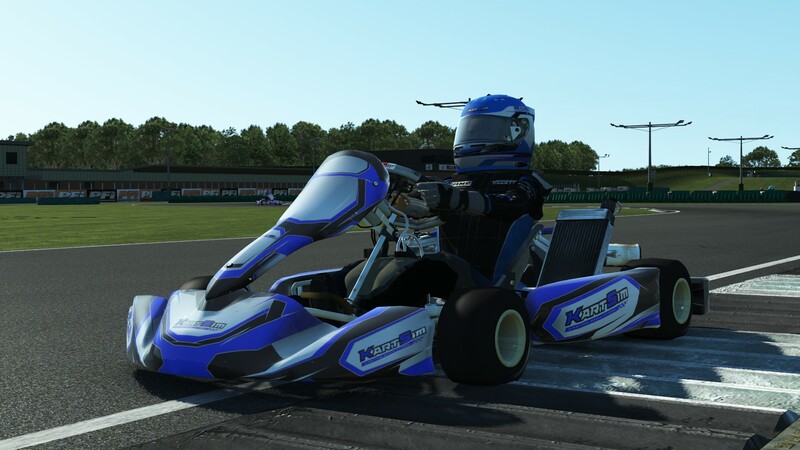 It will cost 395 UK Pounds plus VAT and will only be available via KartSim. As we have spoken about in the past, we are ready to support third parties that wish to publish items via our store with the official licenses and agreements in place. Please do contact us via Discord or start a conversation with us on the forum for more information. Finally, we are proud to announce that a few days ago we have successfully scanned our first track with professional LIDAR equipment. 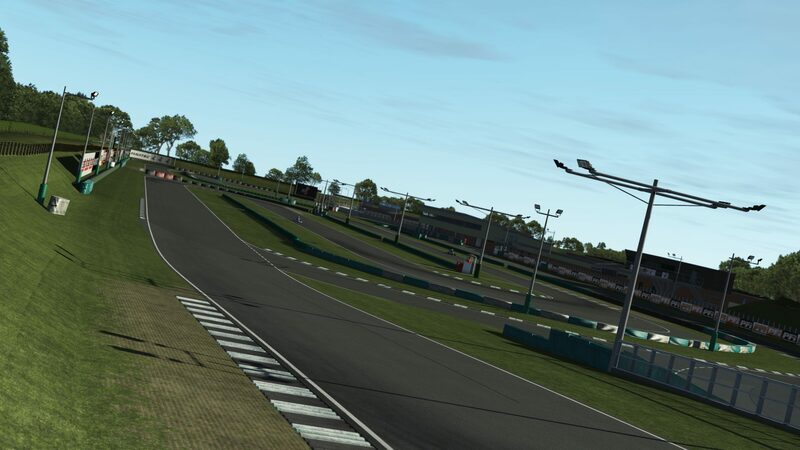 We’ll keep you guys in suspense a little bit longer about which track this will be, but needless to say we are very excited to work with such data to produce a very accurate rendition of this track. Support for Windows Mixed Reality headsets! 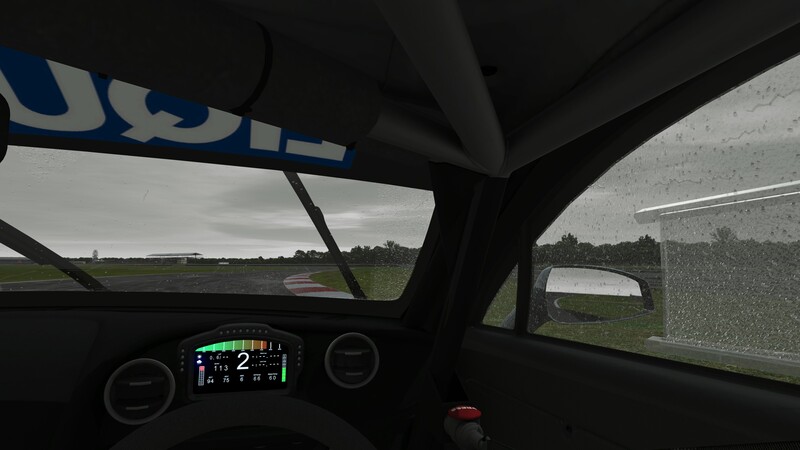 rFactor 2 announces support for Windows Mixed Reality headsets. 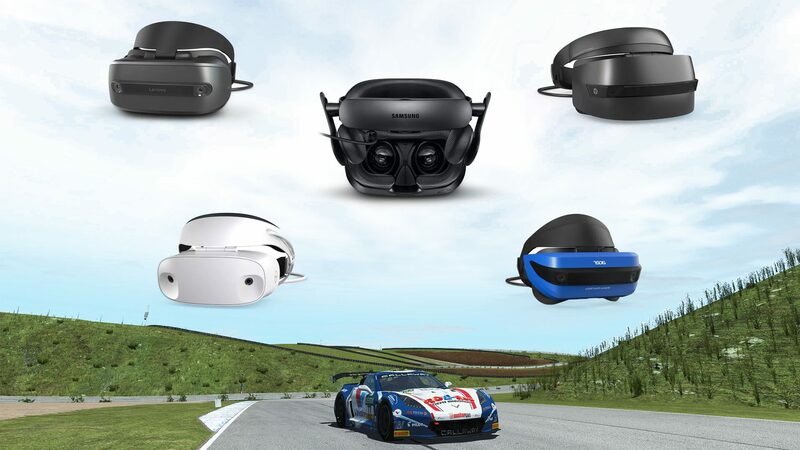 If you have installed the Windows 10 Fall Creators Update, you can install the Windows Mixed Reality for SteamVR application and drive rFactor 2 in VR with one of the many new compatible headsets. If you want to check if your computer hardware is suitable for Windows Mixed Reality, you can check out the guide that Microsoft posted. Alternatively the Microsoft Store features a free application that you can run on your computer to check if it meets the criteria. 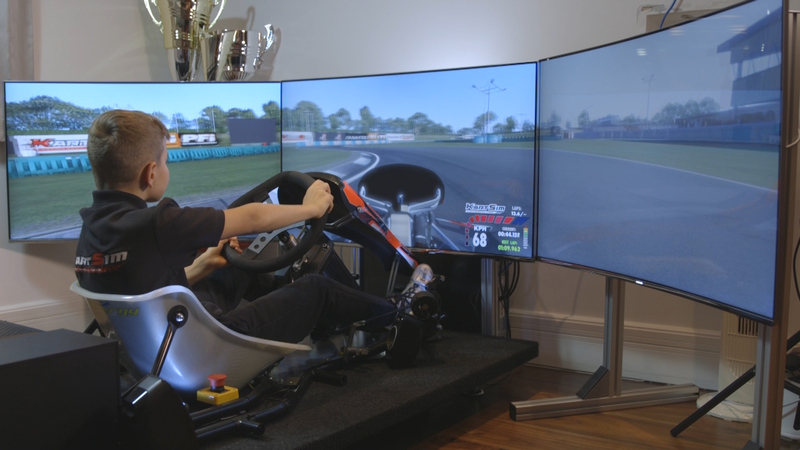 A thing to note is that you don’t need Bluetooth 4.0 or controllers for simracing. Just the headset is enough. Plug in your headset to establish that it’s setup and working correctly in Windows. Install the support application for SteamVR from the Steam store. Make sure you have also installed SteamVR. 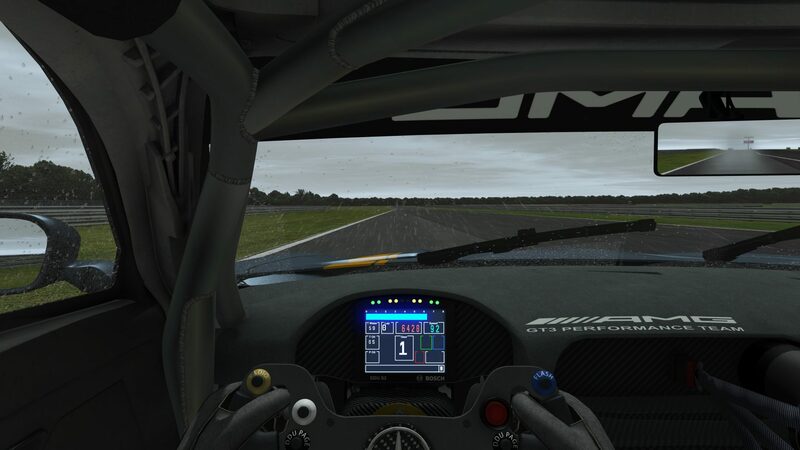 In the rFactor 2 graphics configuration, make sure you enable VR. 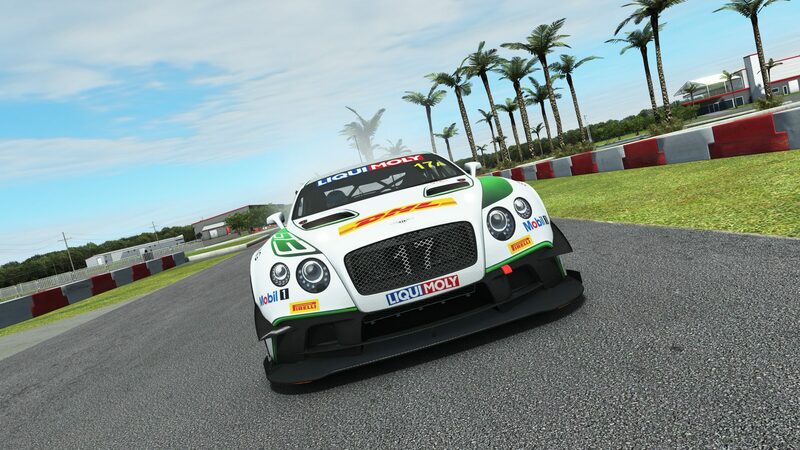 Launch rFactor 2 and start driving in VR! Last month we reflected on 2017 and hinted at new content. 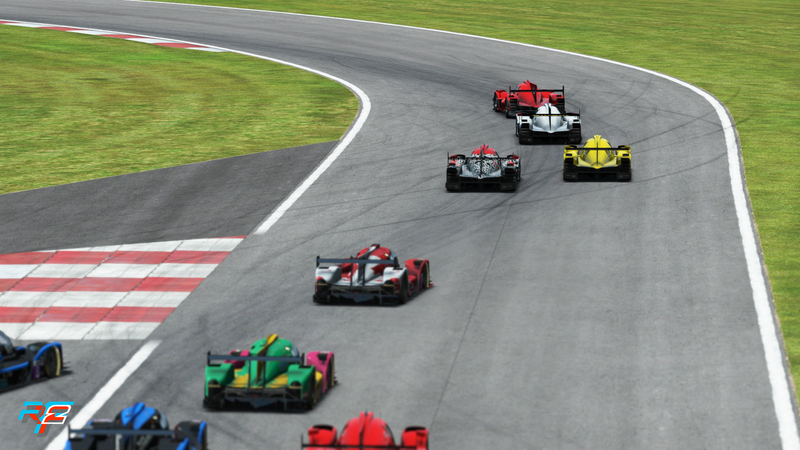 Earlier this week we announced the Formula E Energize Pack, bringing electric racing to rFactor 2. 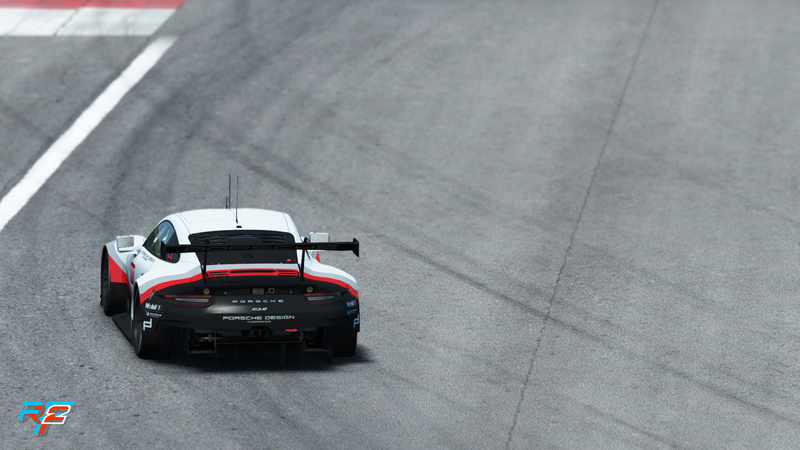 This weekend you can all watch the season opening double header race in Hong Kong. 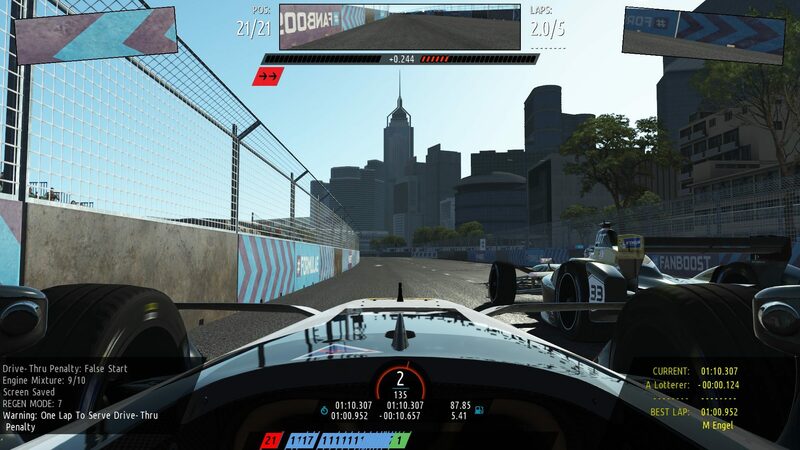 We announced a hotlap competition, which gives you a chance to win some exclusive Formula E goodies, or show your friends how much better you are than them! Some of you might have watched the talk and drive that Marcel did on RaceDepartment. 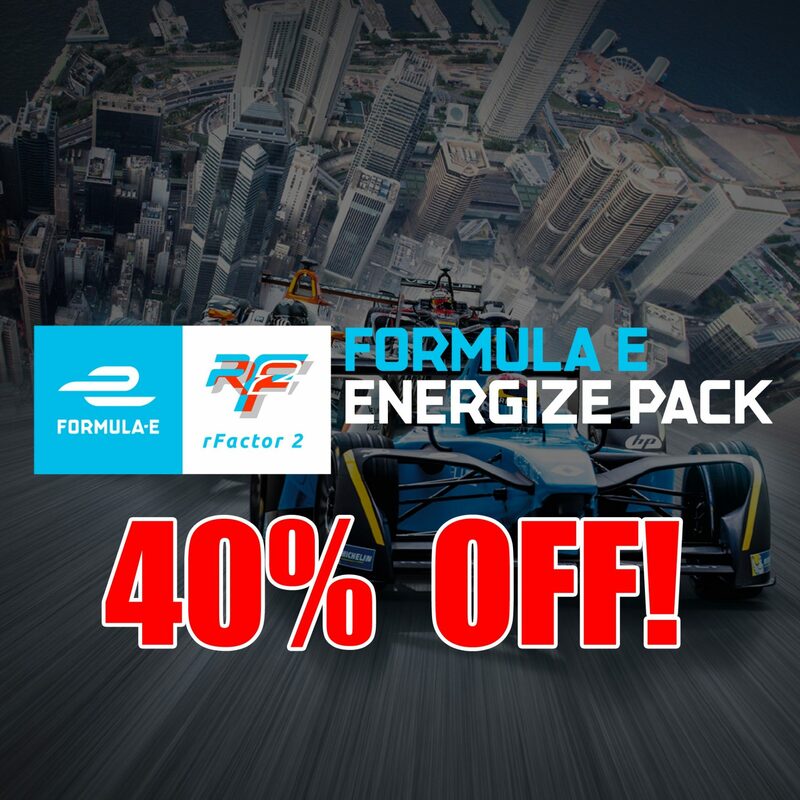 For those of you that didn’t, you missed out on some free copies of the Formula E pack. We’ll summarize some of the new things that were discussed there. Obviously a lot of questions centered around the Formula E content. 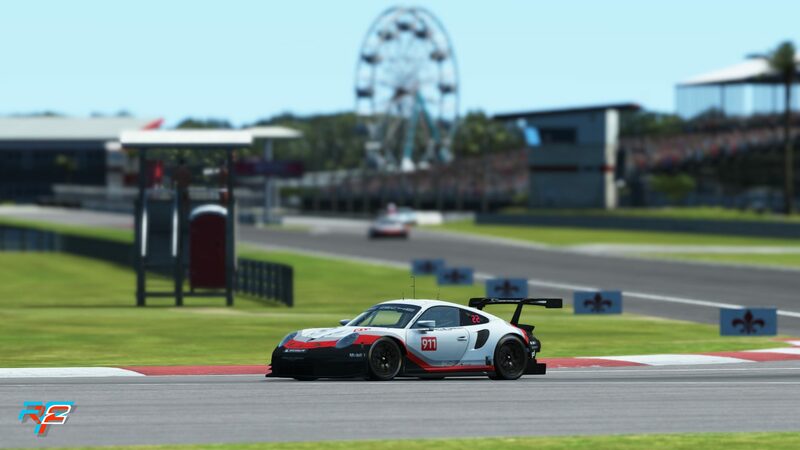 We’ll release an update of that in a week or two that will include the new team liveries that we were not able to show you ahead of the opening race, and we’ll also provide a code update that will give you a better insight into the amount of battery you have left, and are using per lap. 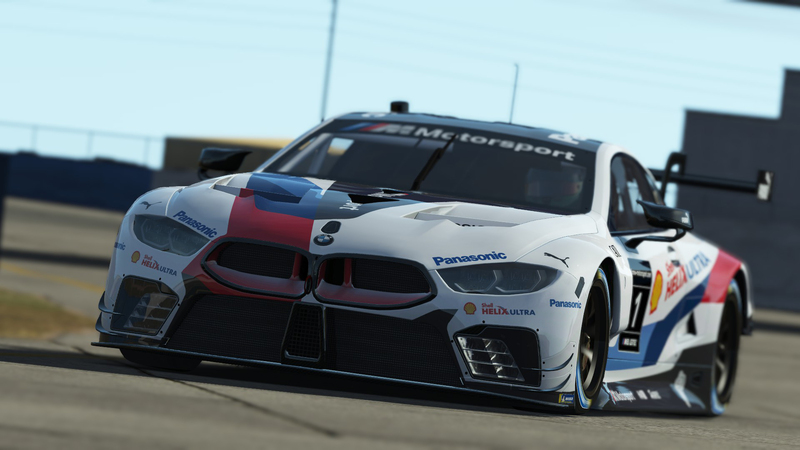 Since this part of the strategy is such an integral part of racing these cars, we feel an improvement is in order so you don’t have to rely on third party plugins. 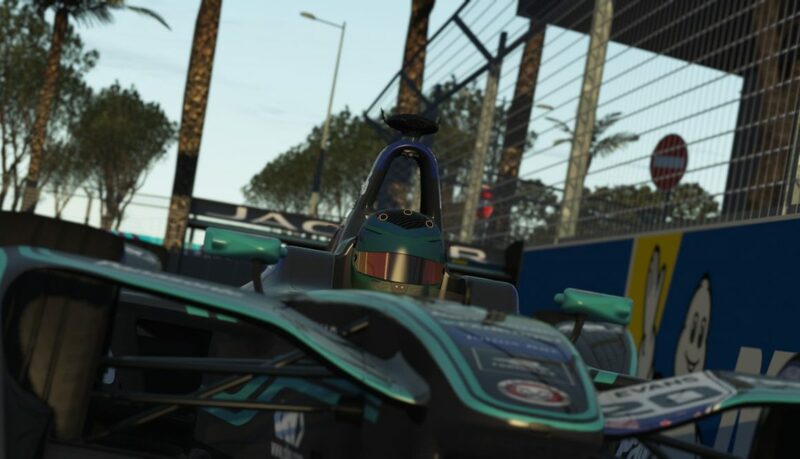 Incidentally, talking about third party plugins, Crew Chief already released a code update that supports Formula E. If you have not checked it out yet, we can definitely recommend you do so! We’re also ready to announce that we will be making DX11 the default before Christmas. As an intermediate step before we come with a new HUD system for plugins, we’ll focus on providing a default HUD that includes a lot of the features you have been enjoying in third party plugins. One of these is a new dial that show you the time delta compared to your best lap, but we have a few other new things and enhancements planned. 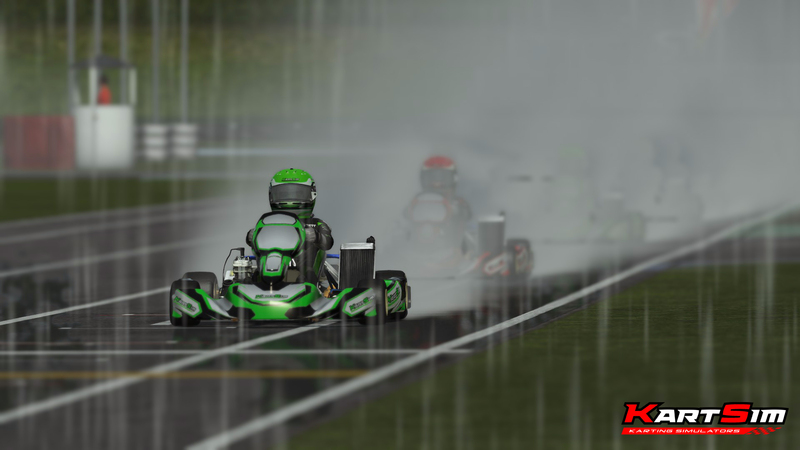 Part of this DX11 update will be the inclusion of the “rain update” that we previewed at SimExpo. We’ve since perfected it. We’ve also improved the ambient lighting, producing subtle differences that give the overall image a slightly more dramatic look. 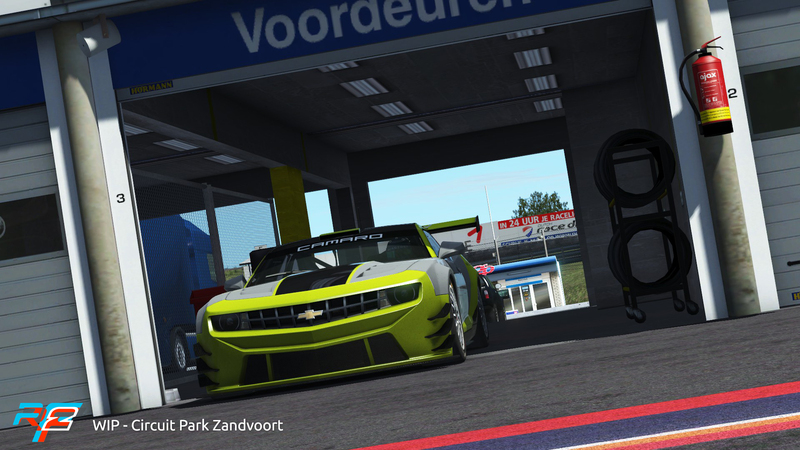 At the moment we are working feverishly to update all our cars and tracks to make maximum use of these new features. We’ll incrementally release those updates, but anticipate to already have a substantial part done before the end of this year. The shots below are still work in progress, but show you what we’ve been doing to make the rain look better on both cars and tracks. Another announcement is that we officially support all the new Windows Mixed Reality headsets, check it here. In 2018 we will focus on more DX11 related updates, both in terms of performance and fidelity. As announced, that means we’re deprecating DX9, meaning it will still be available, but it won’t be updated anymore. This gives us more bandwidth to focus on the new engine, which should be a huge benefit for everybody. Wrapping up this month’s update, we all wish you a happy holiday season and we’ll be back with one final roadmap update close to the end of the year. Of course we will be back in 2018. 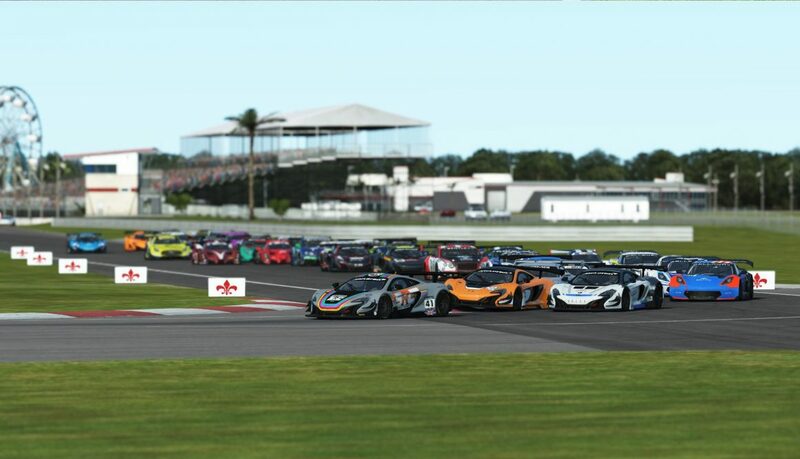 Happy simracing!